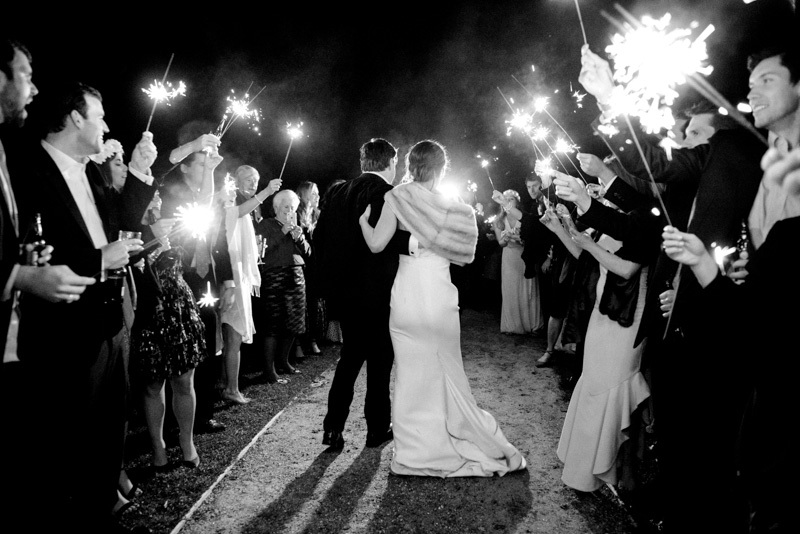 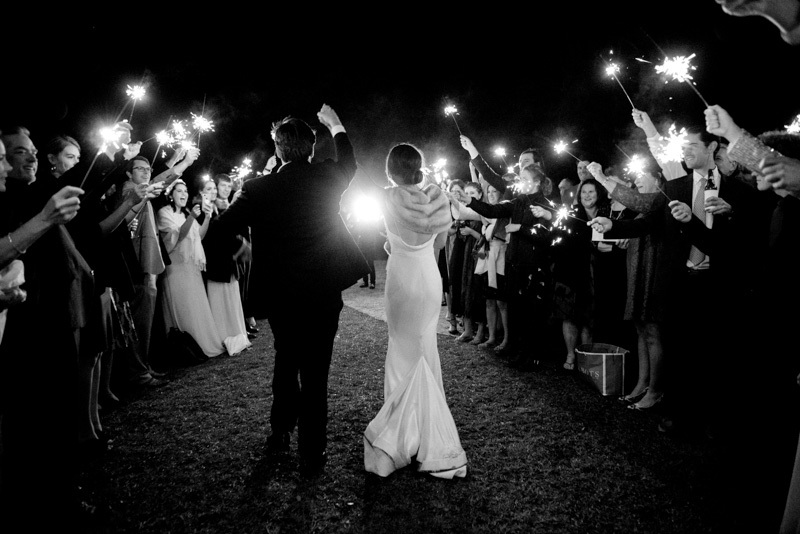 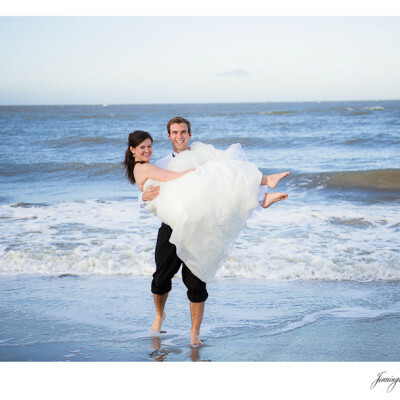 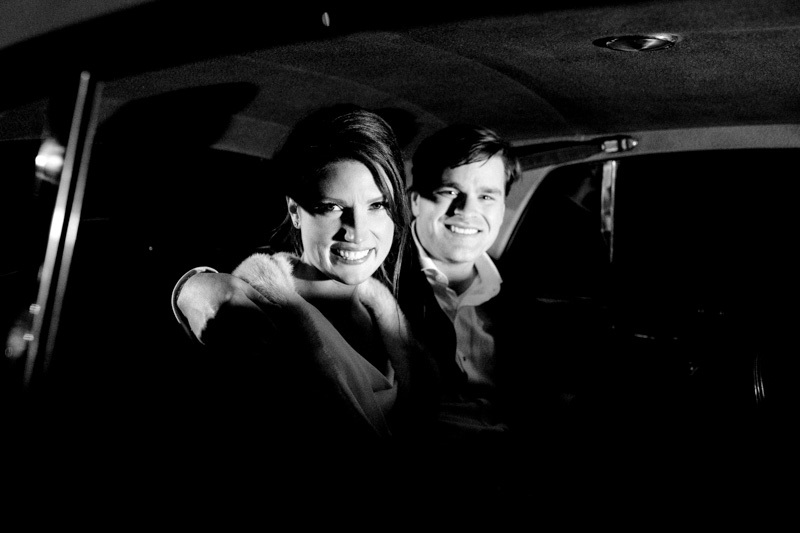 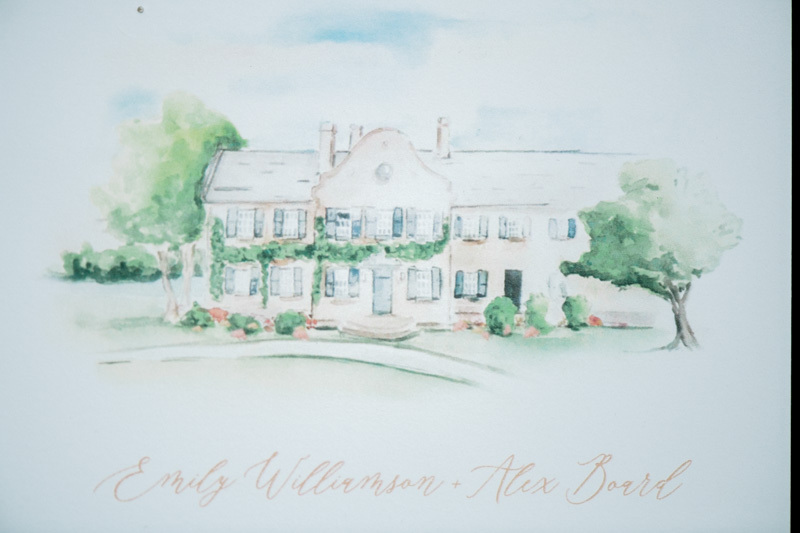 Thank you to The Wedding Row for publishing Emily & Alex’s wedding today!!! 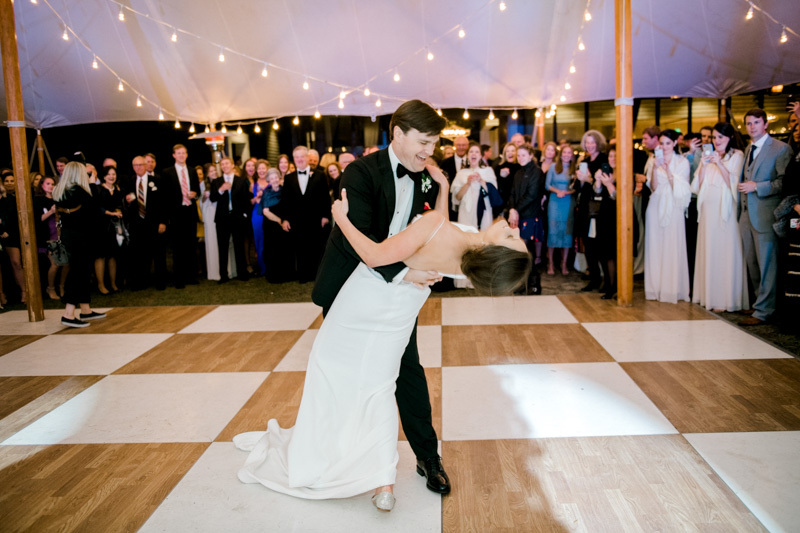 Emily and Alex first started dating their junior year of college at the University of Georgia. 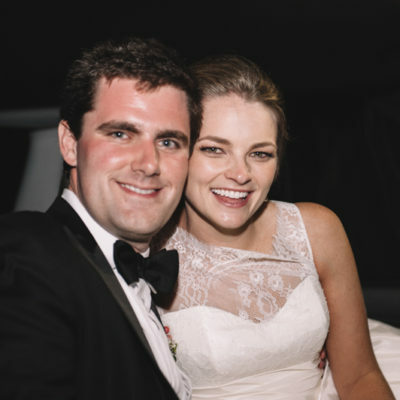 They got to know each other through mutual friends and both being finance majors, they had several classes together! 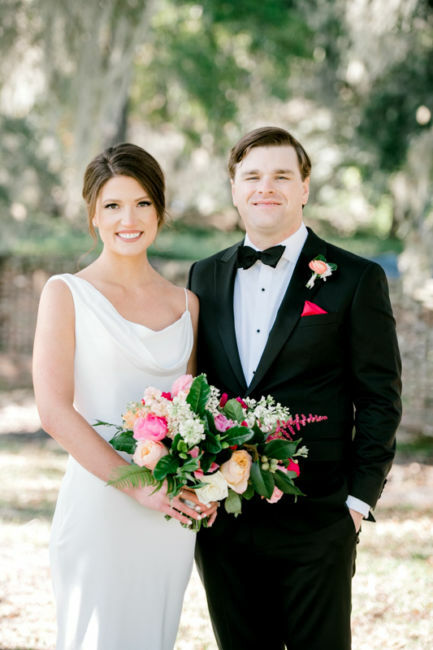 As UGA alumni, they love their college football but also enjoy traveling, cooking and eating out! 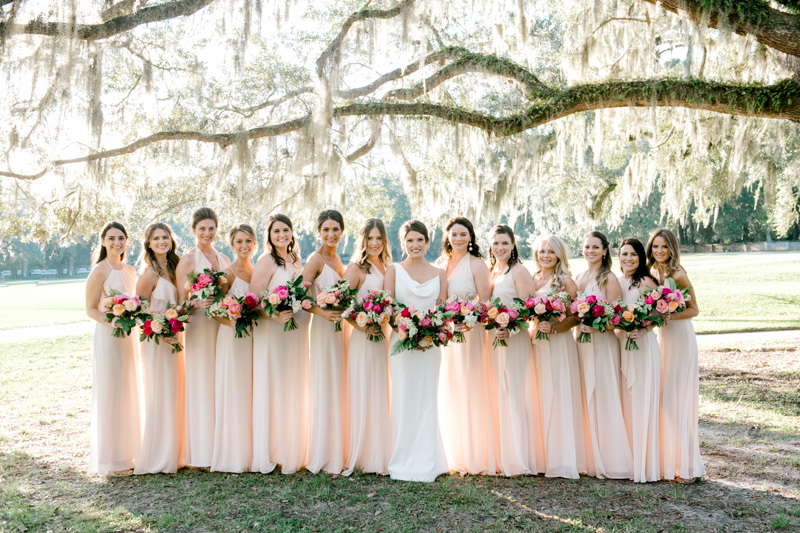 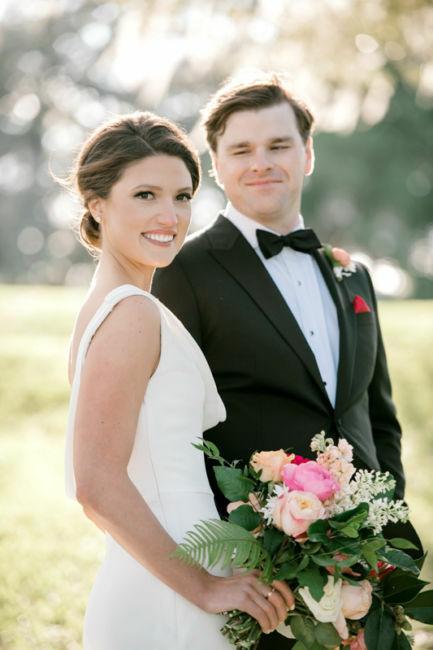 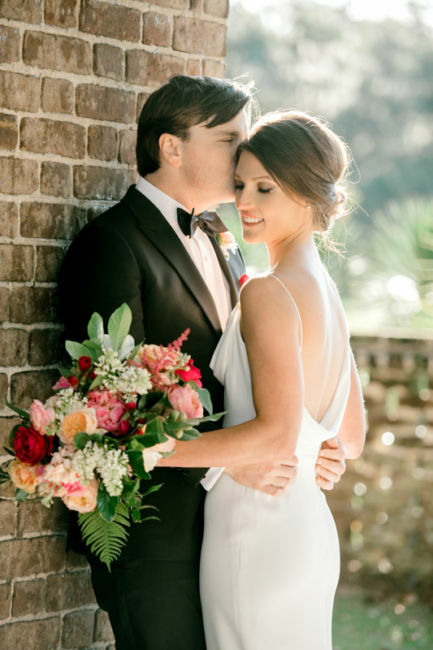 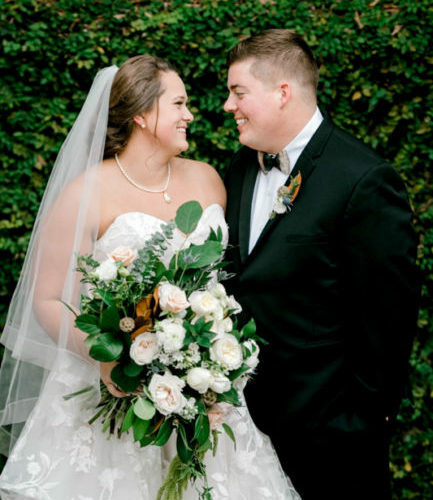 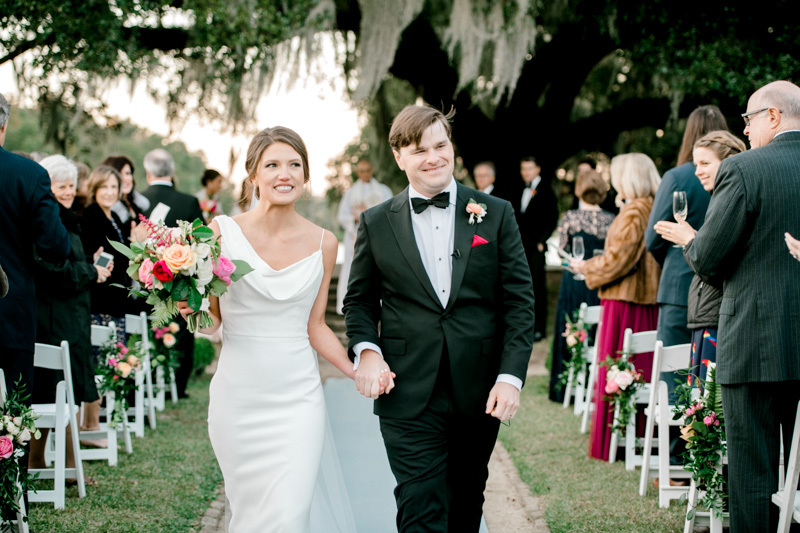 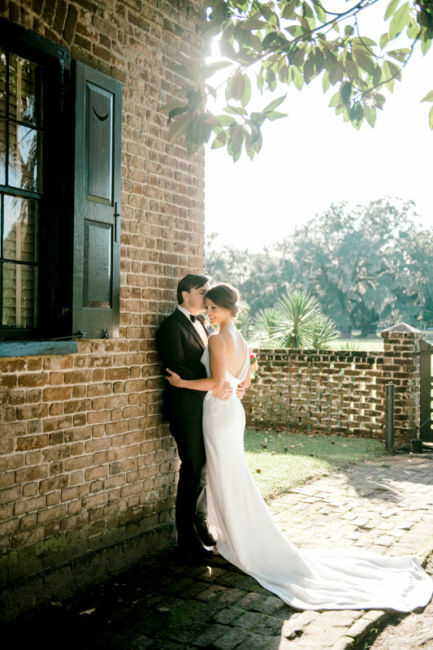 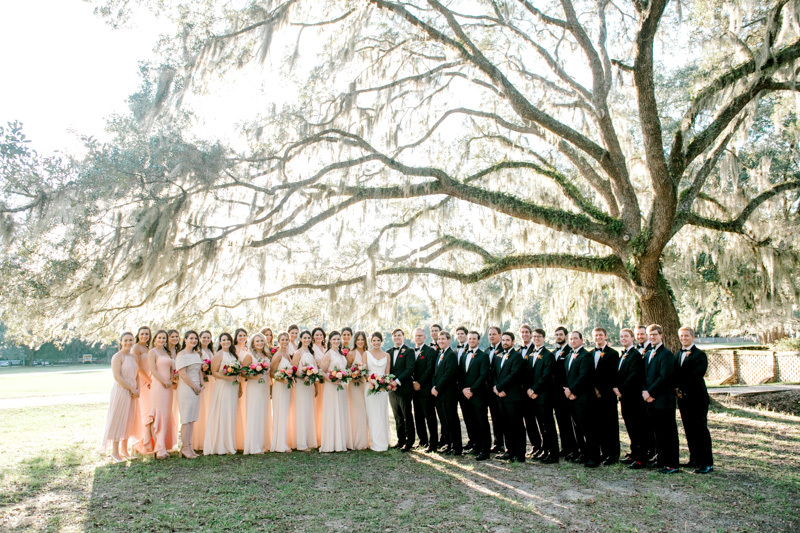 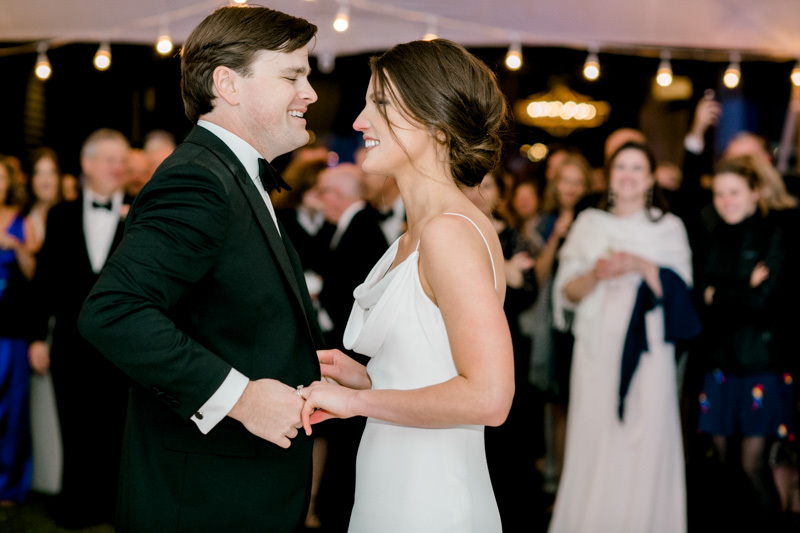 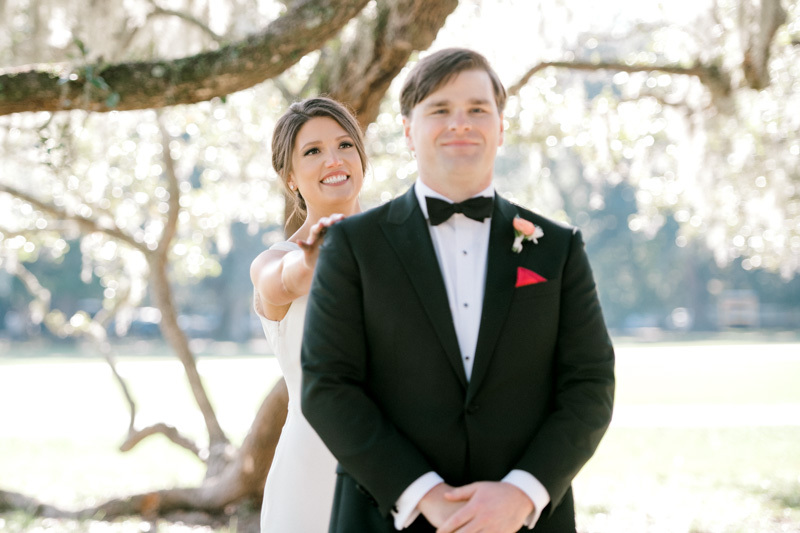 Emily and Alex were so thankful their family and friends came from near and far to celebrate their big day in Charleston. 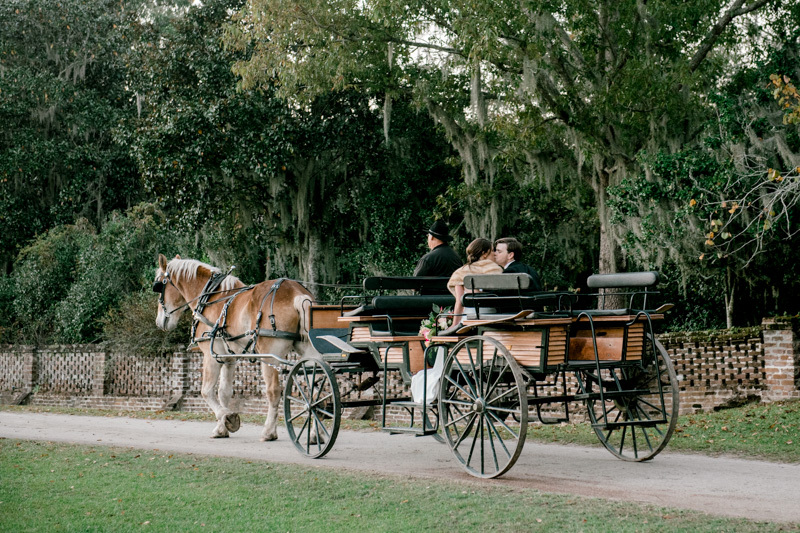 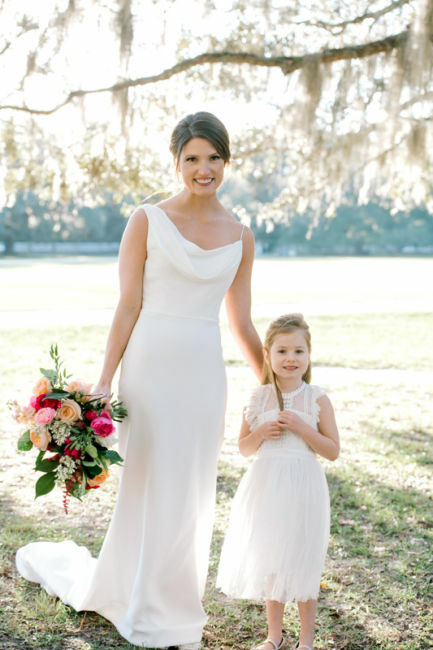 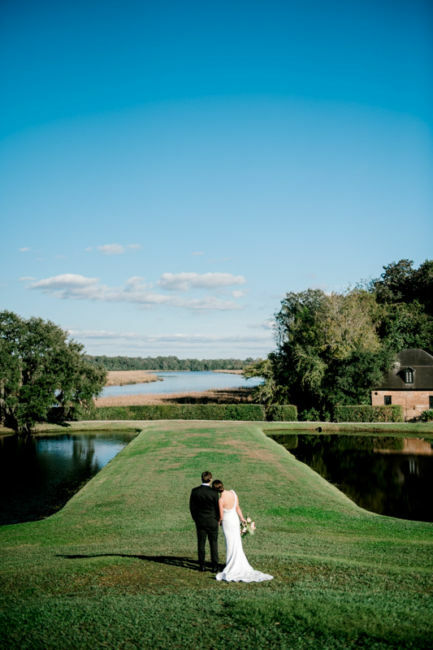 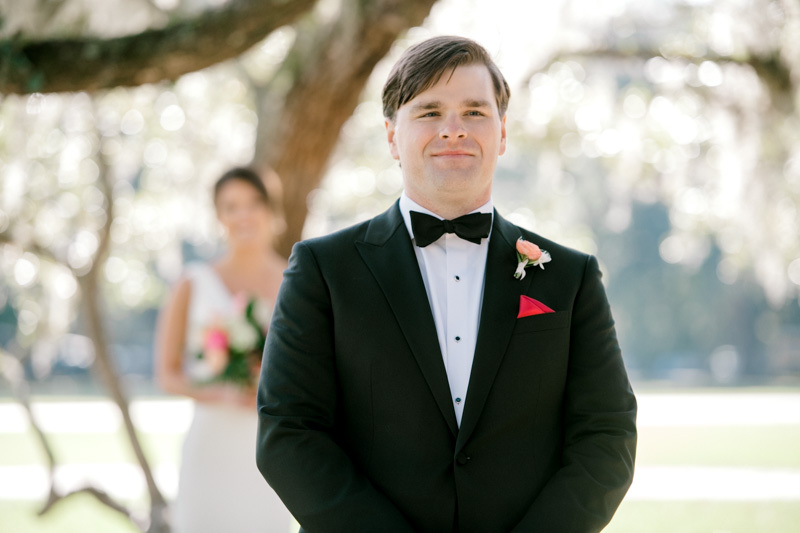 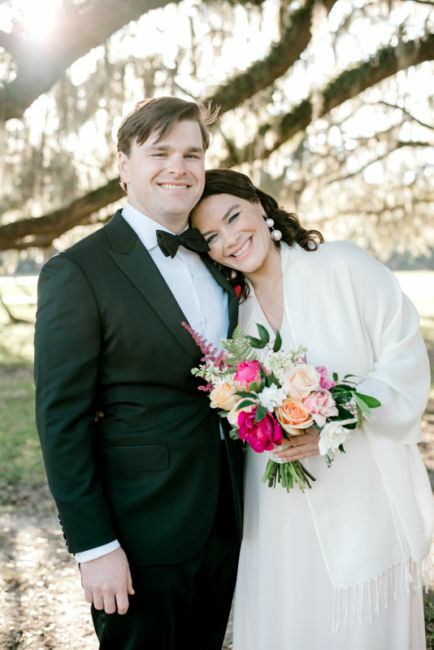 They were married on November 10th, 2018 at Middleton Place. 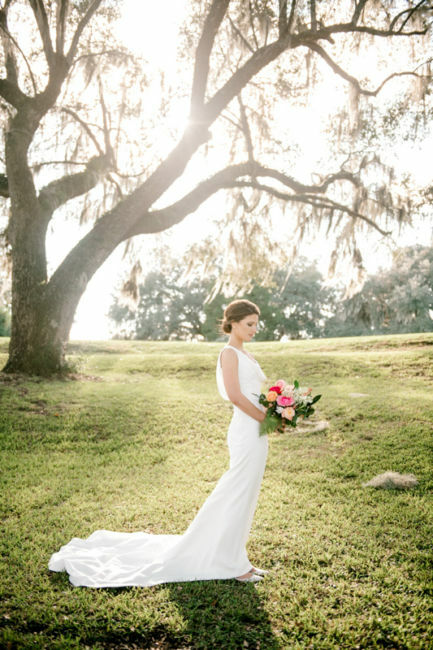 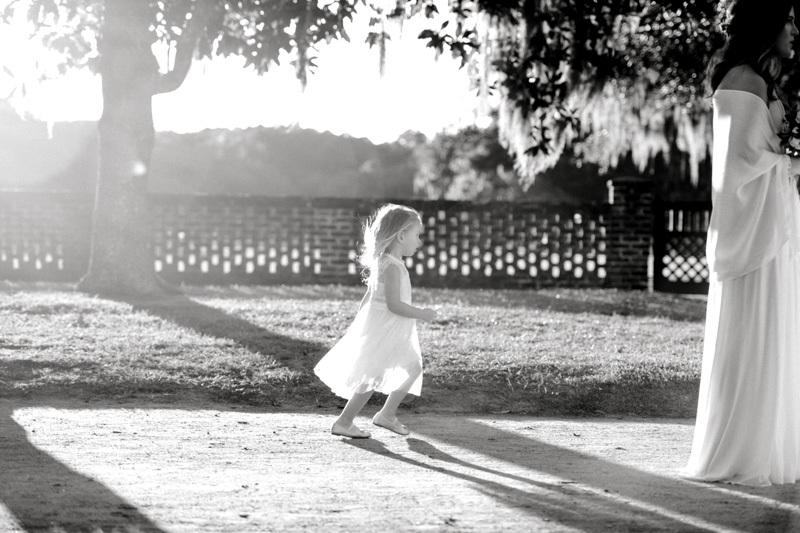 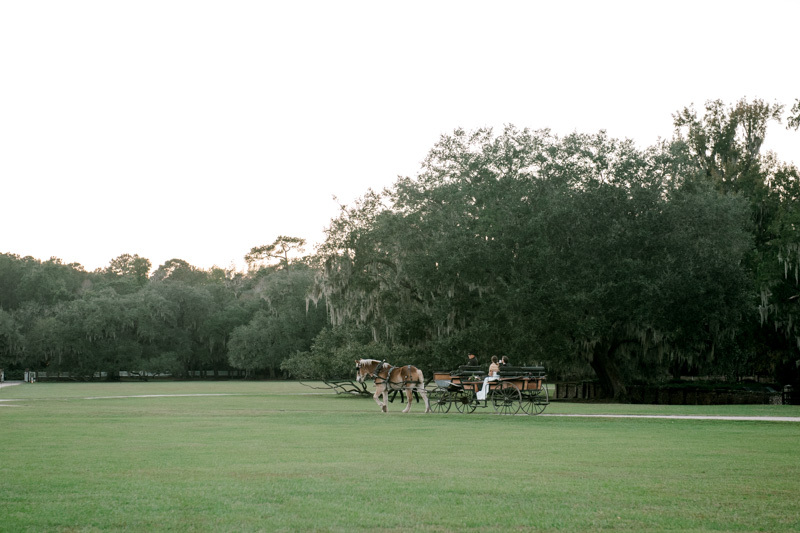 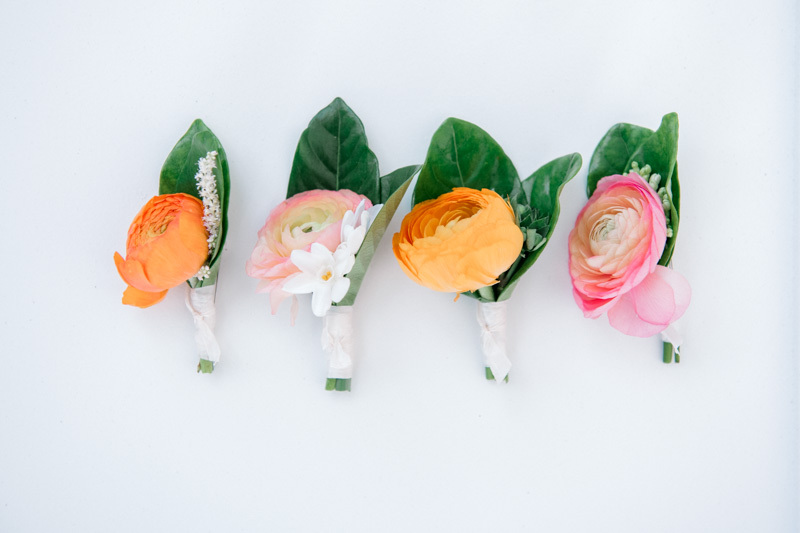 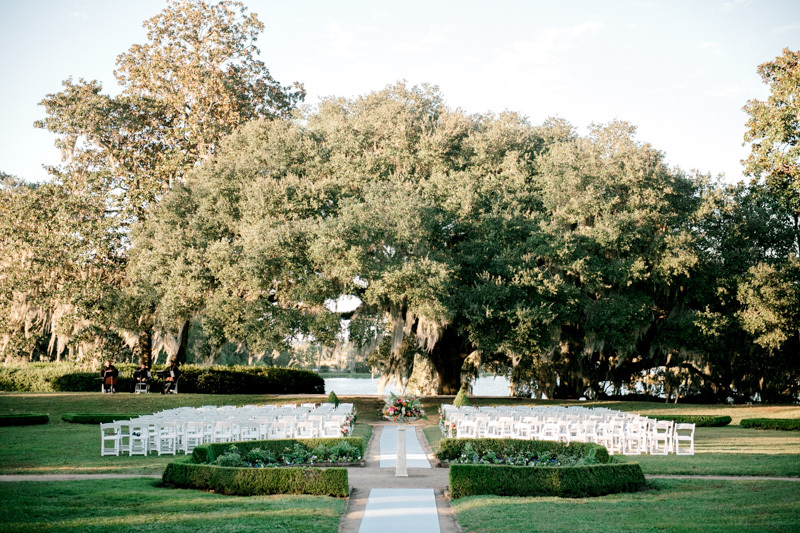 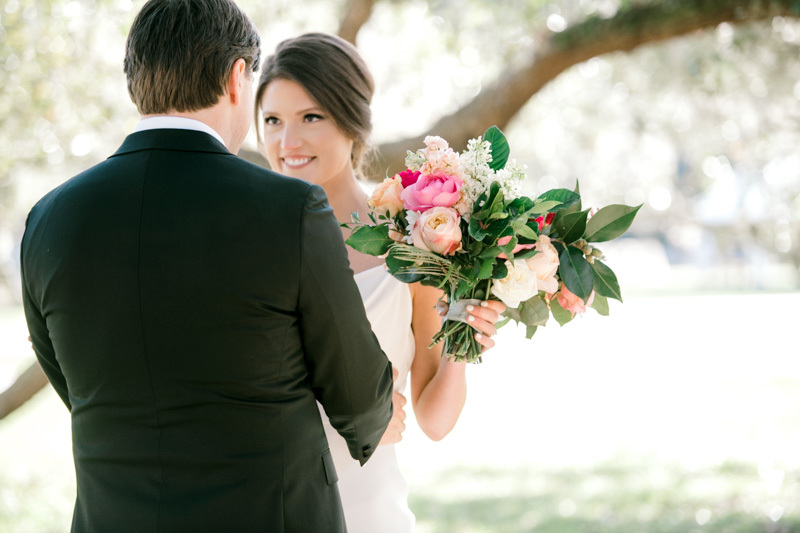 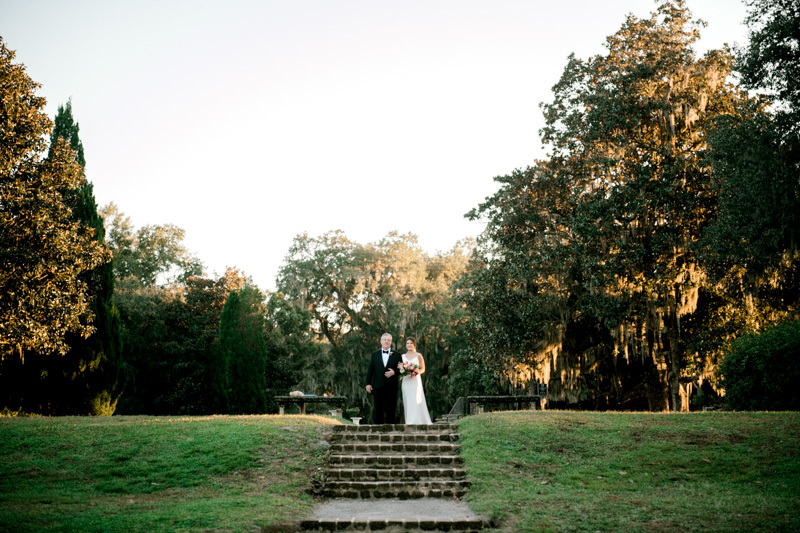 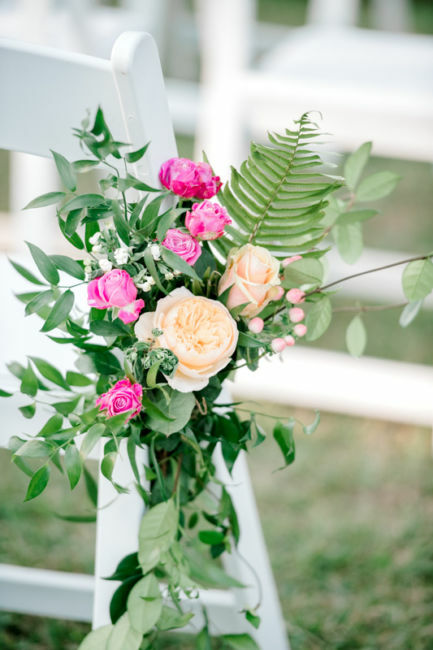 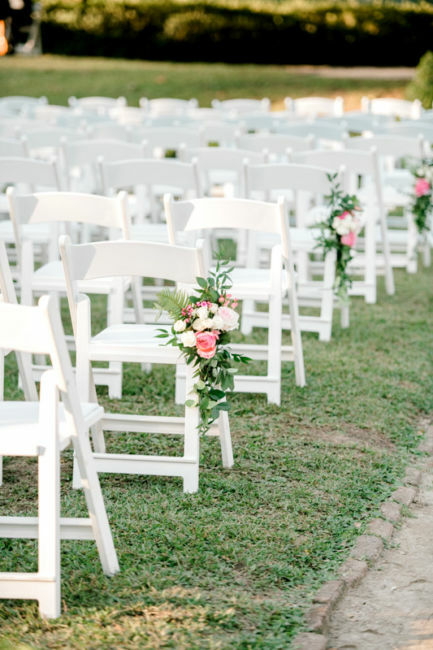 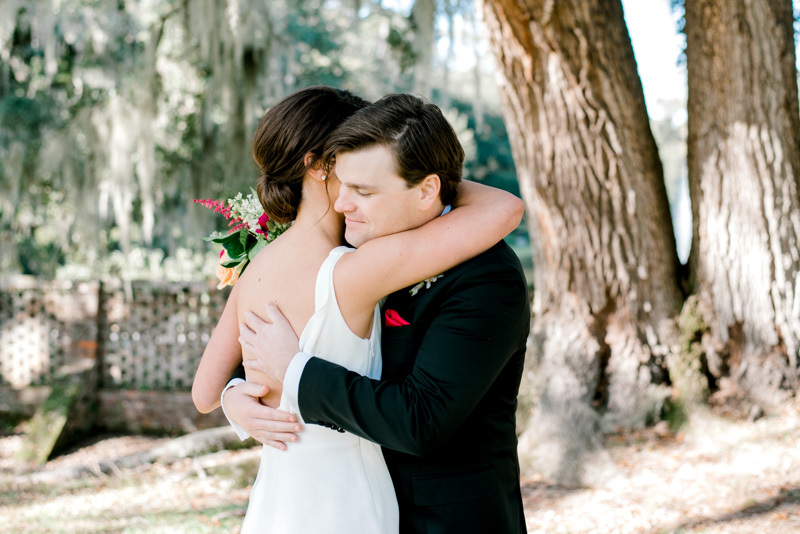 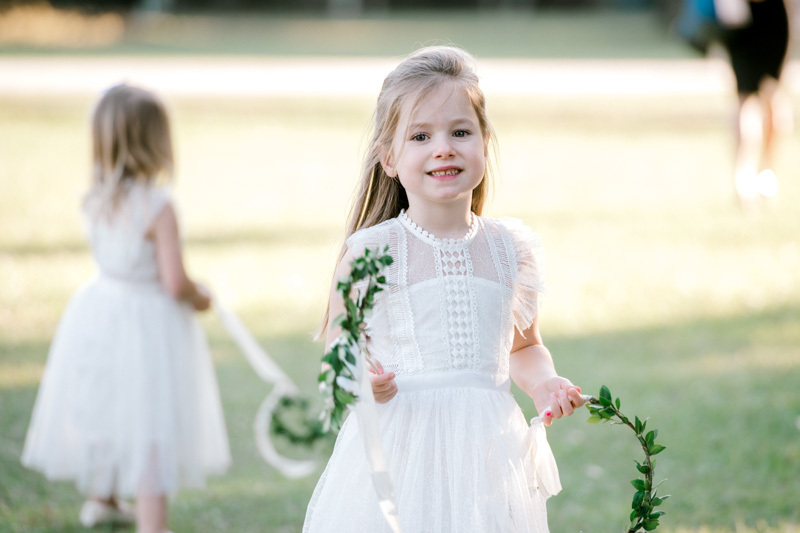 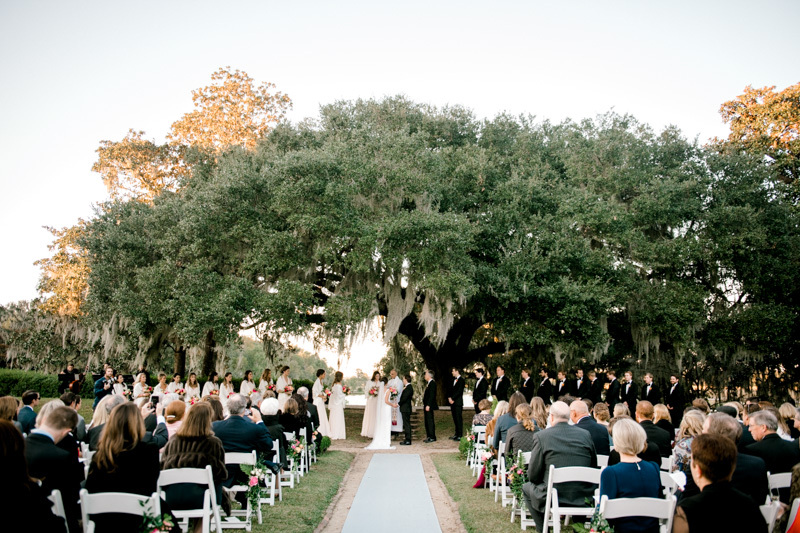 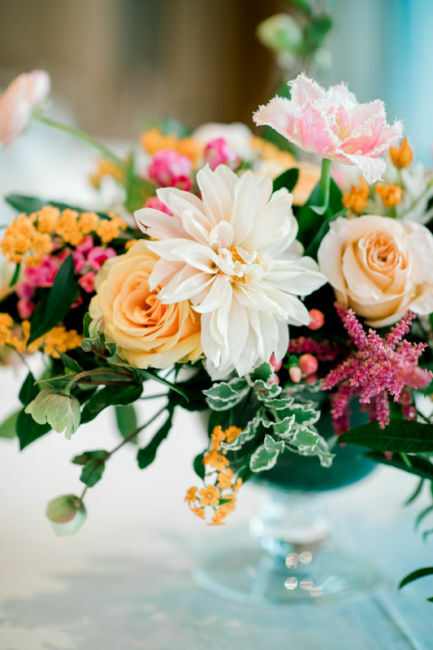 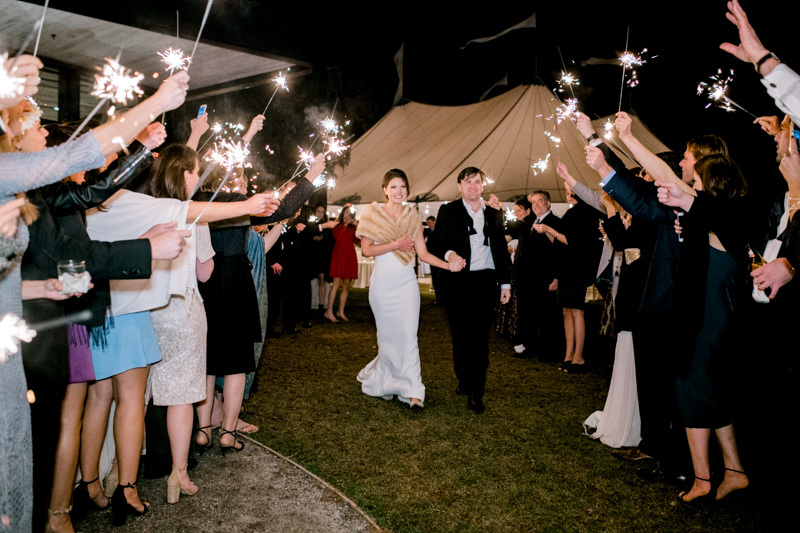 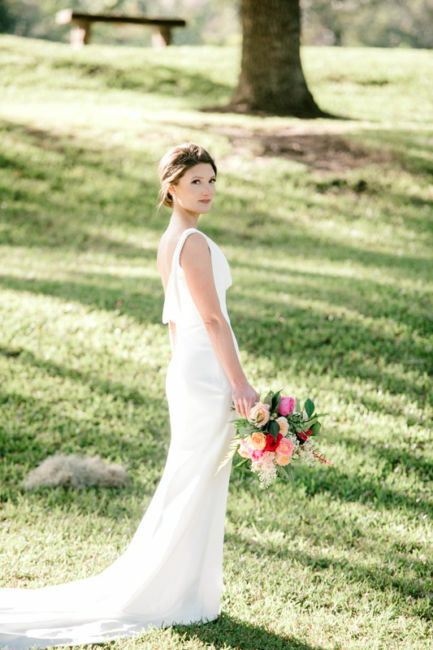 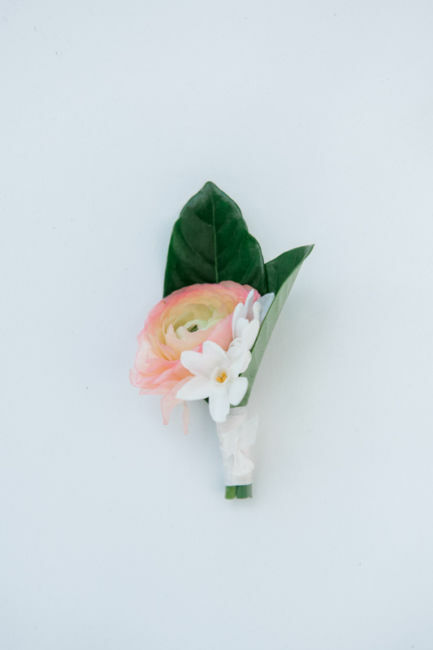 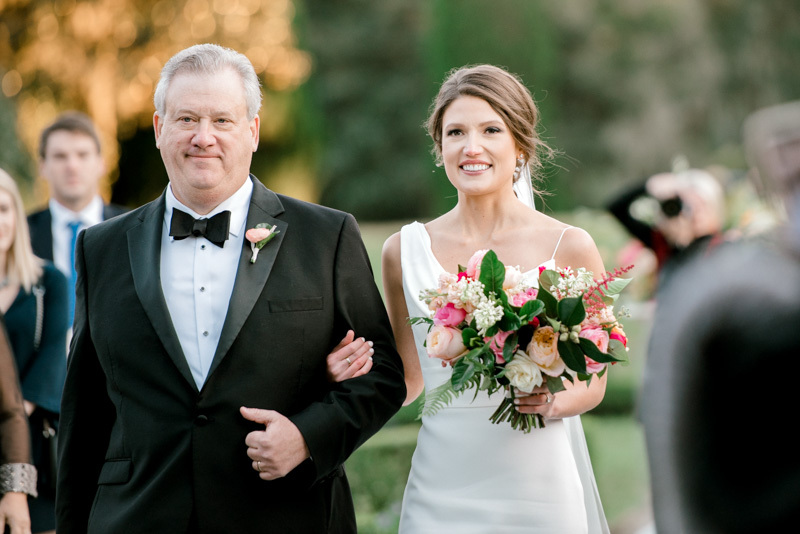 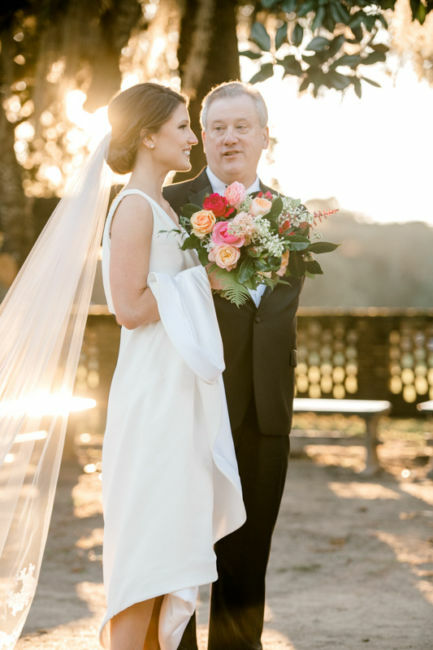 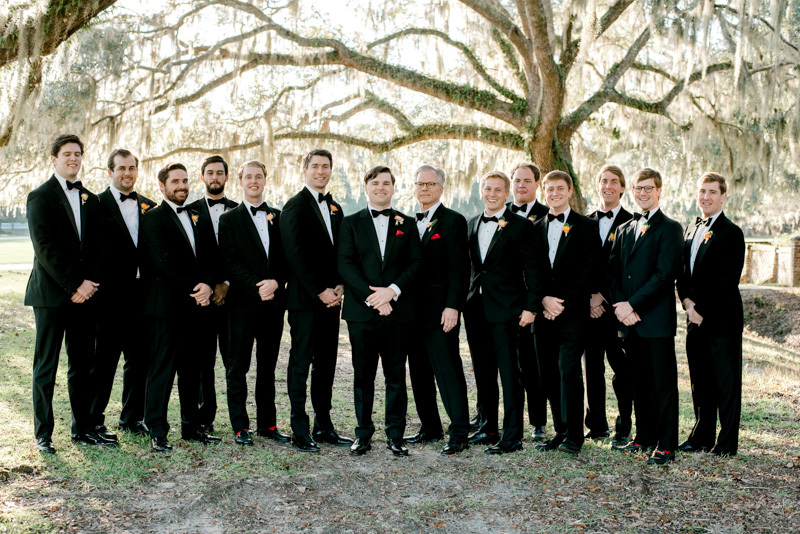 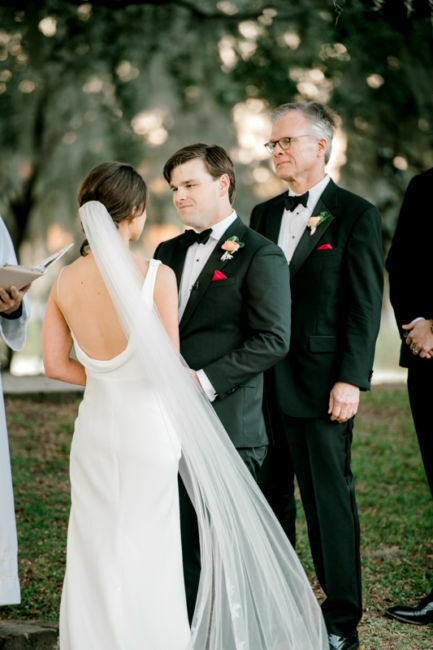 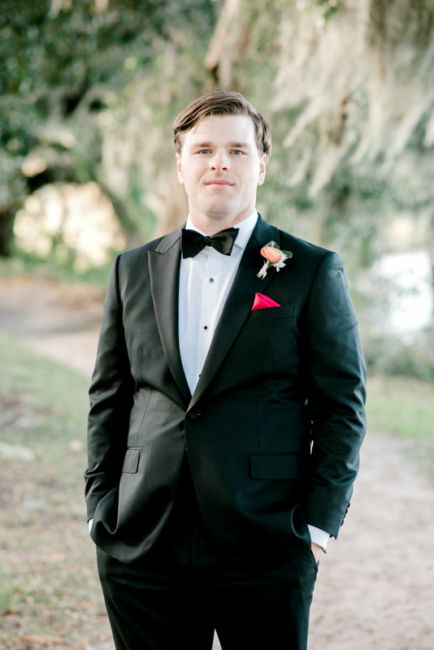 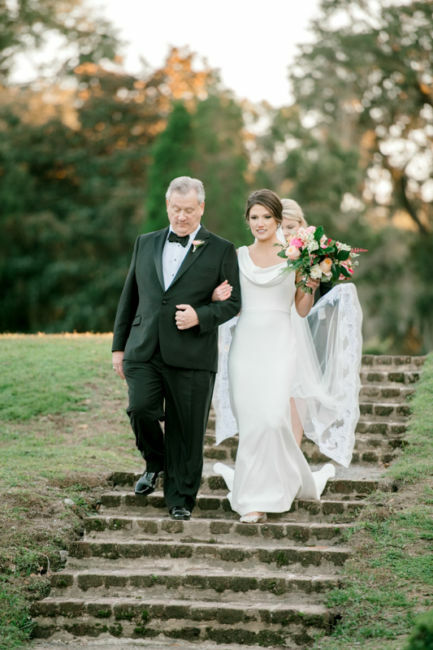 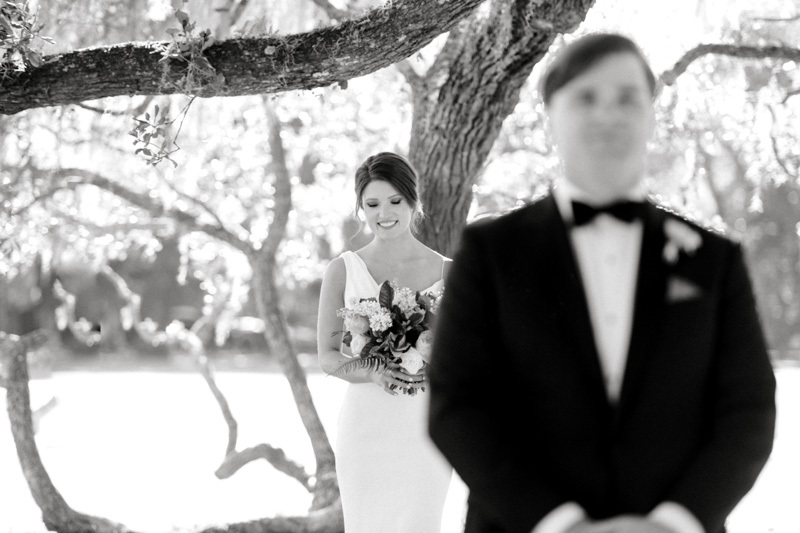 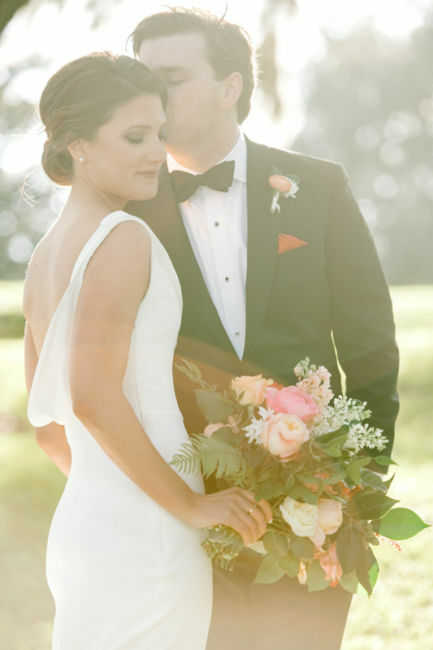 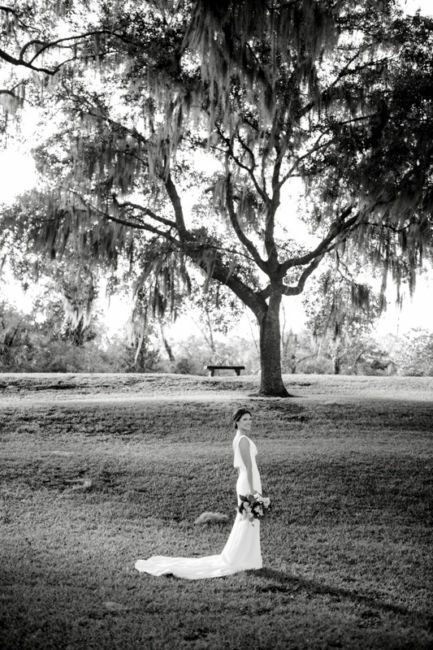 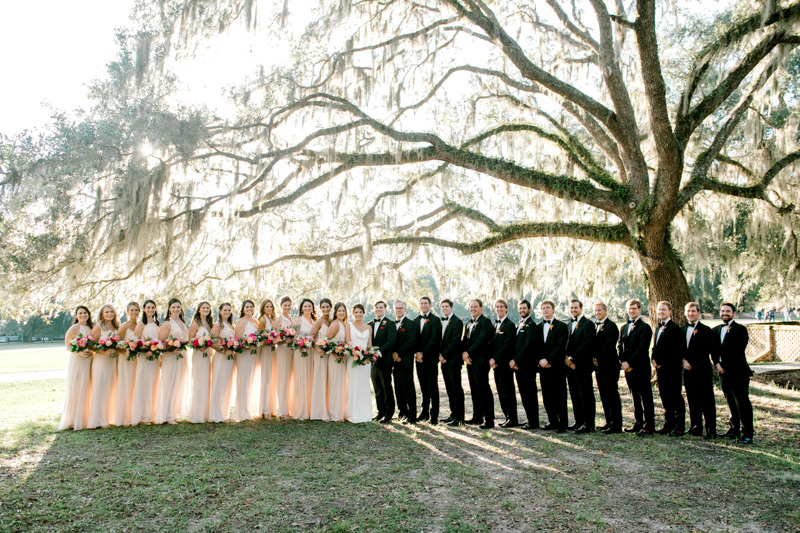 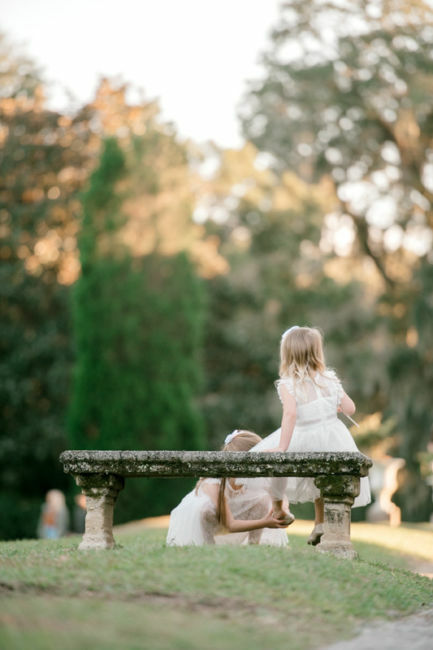 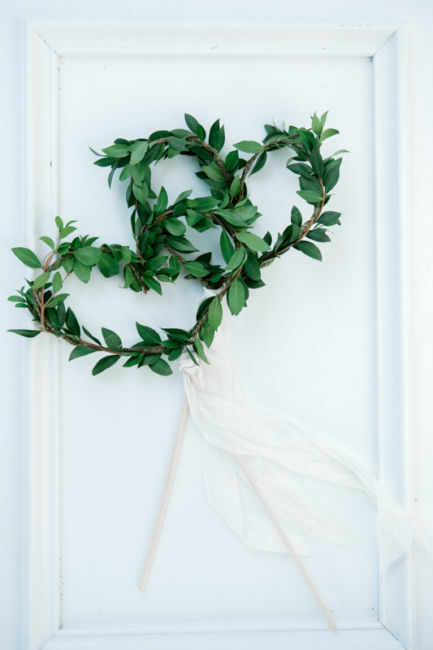 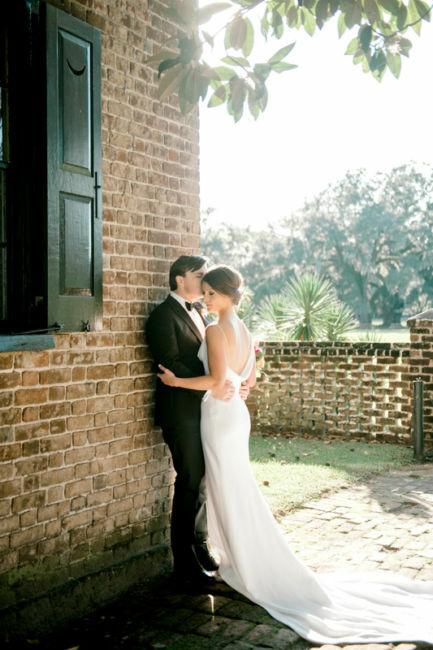 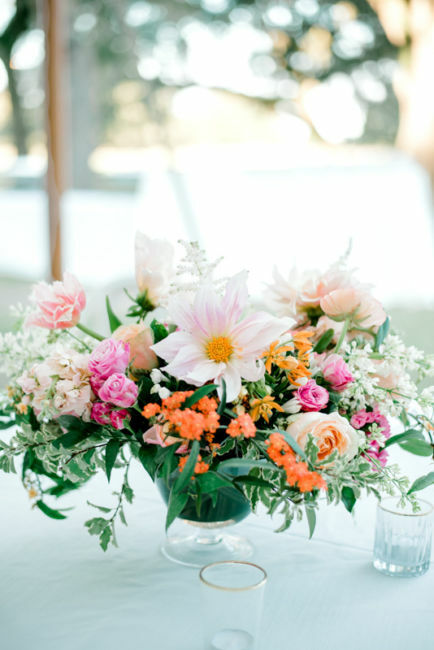 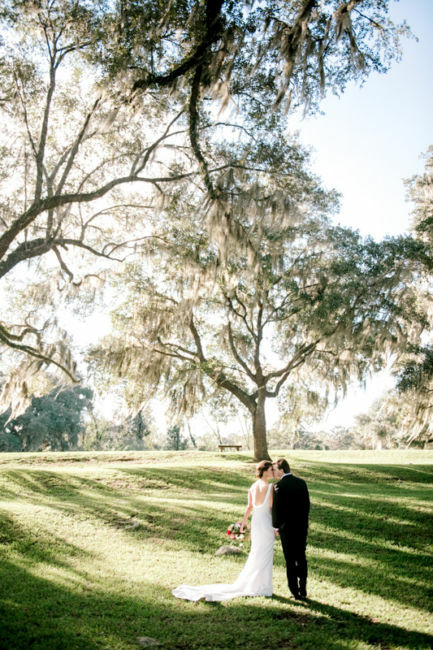 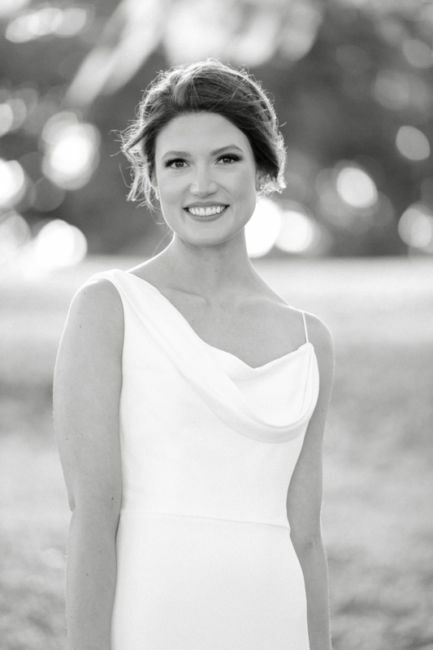 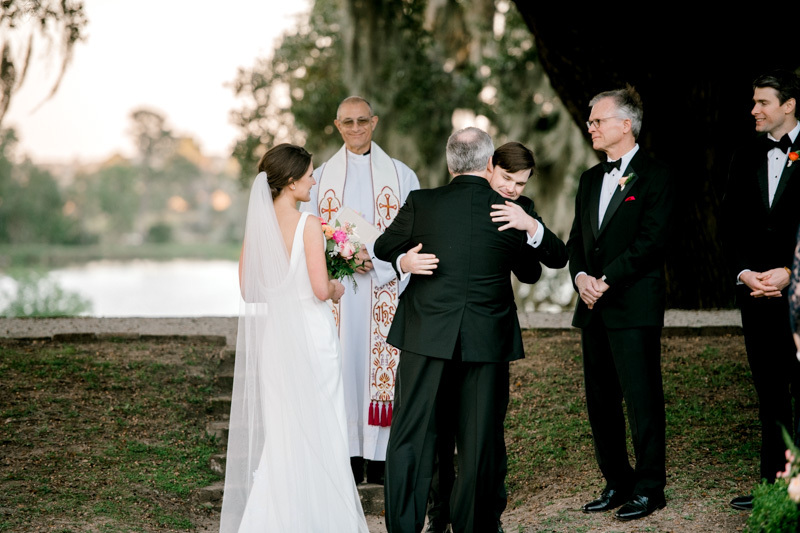 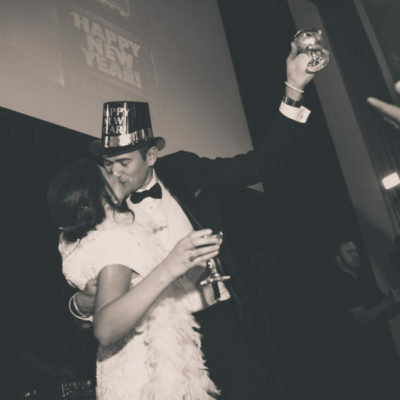 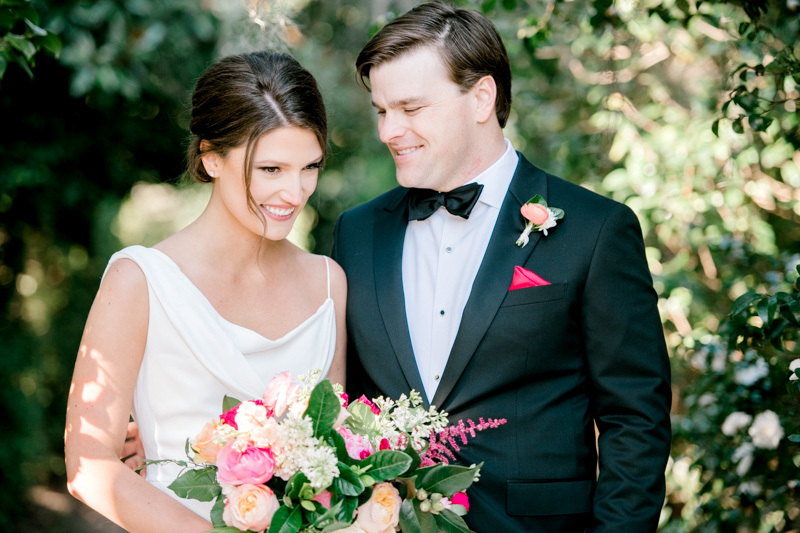 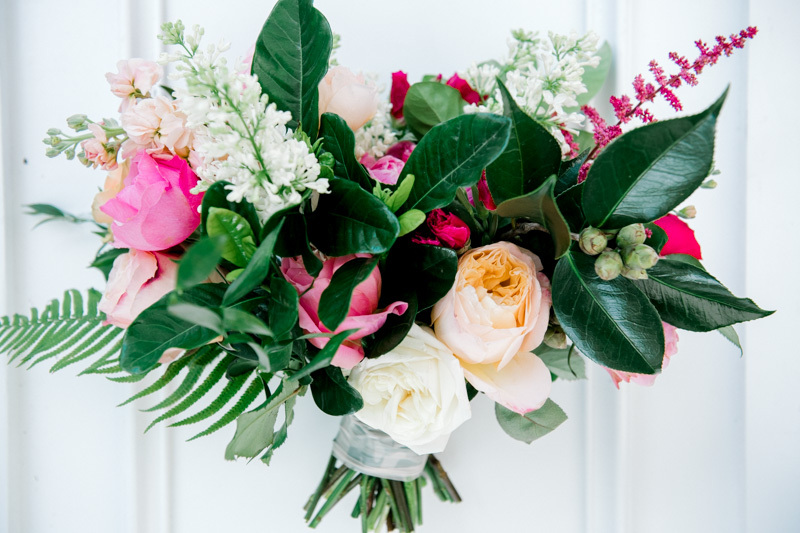 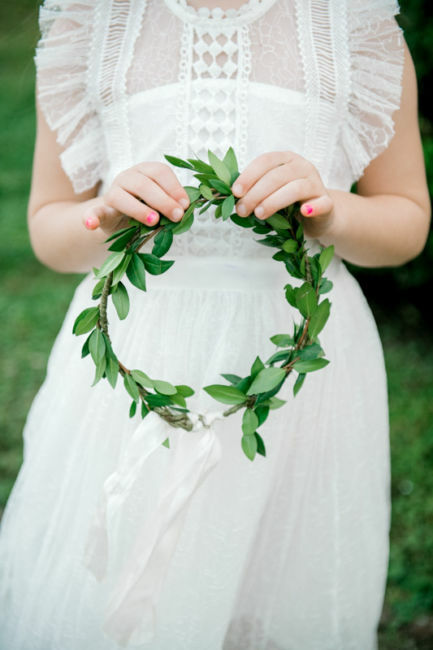 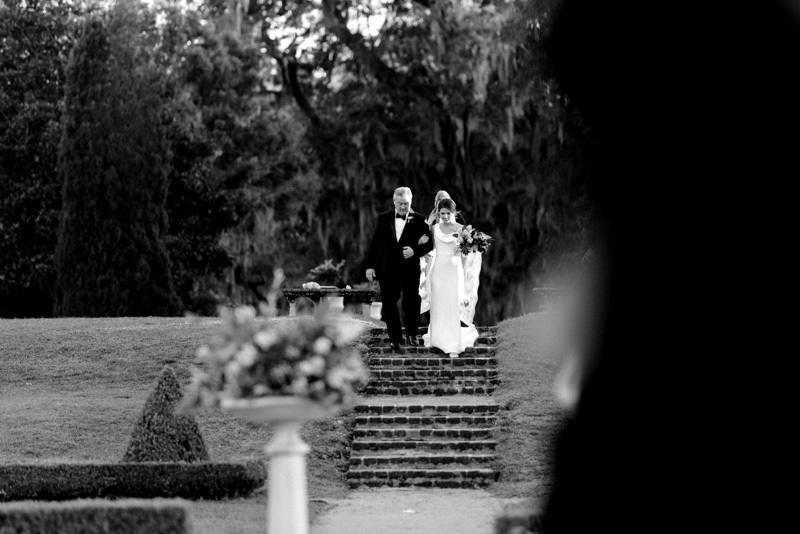 It was the perfect venue to have their simple and classic southern wedding. 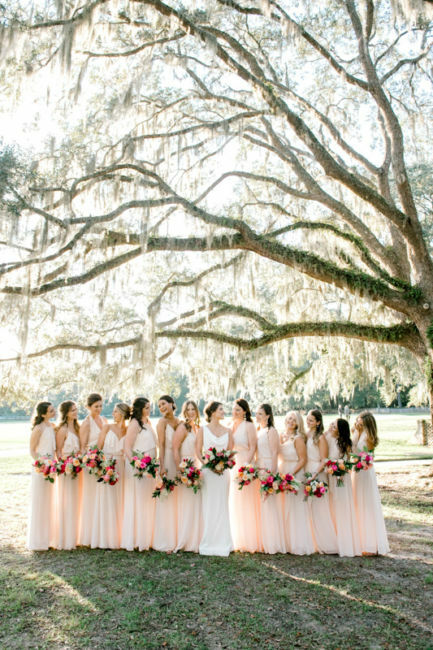 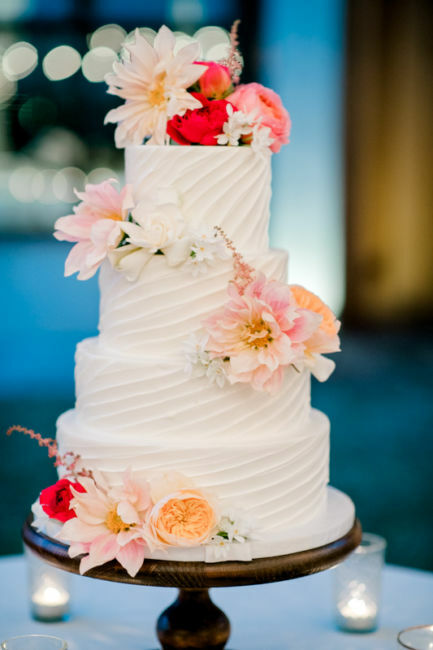 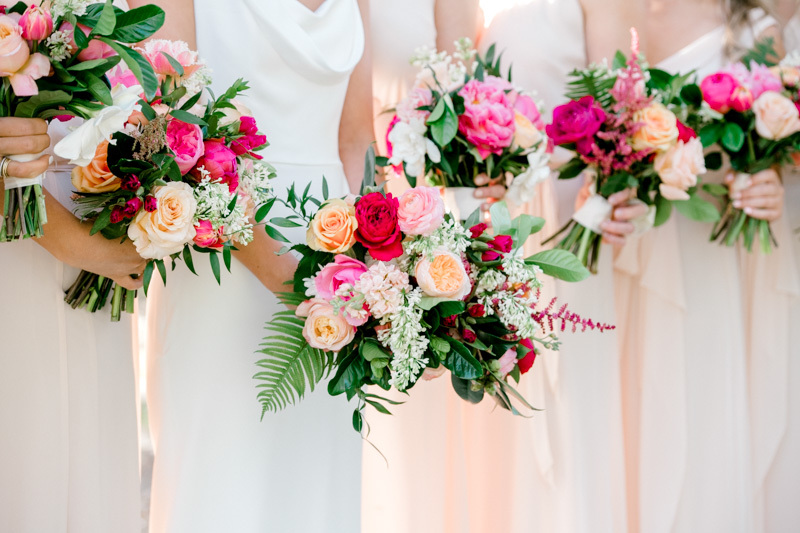 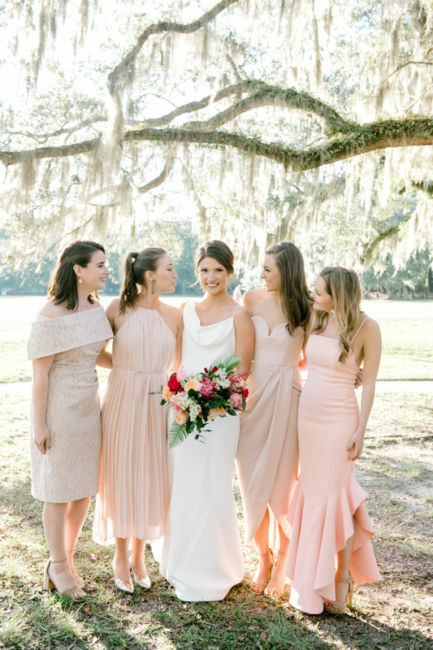 The pink, peach and soft red flowers added a pop of color along with the bridesmaids champagne dresses. 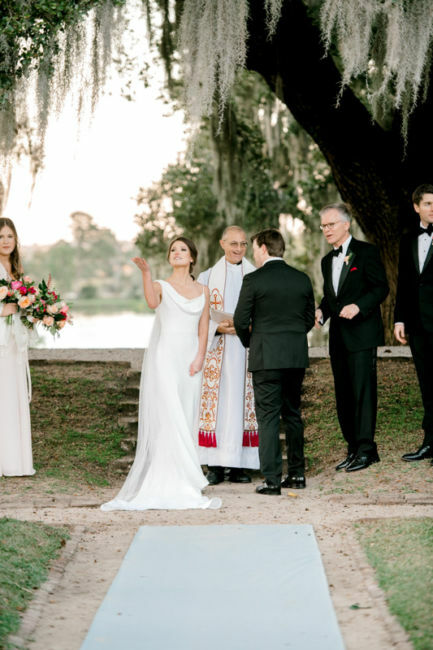 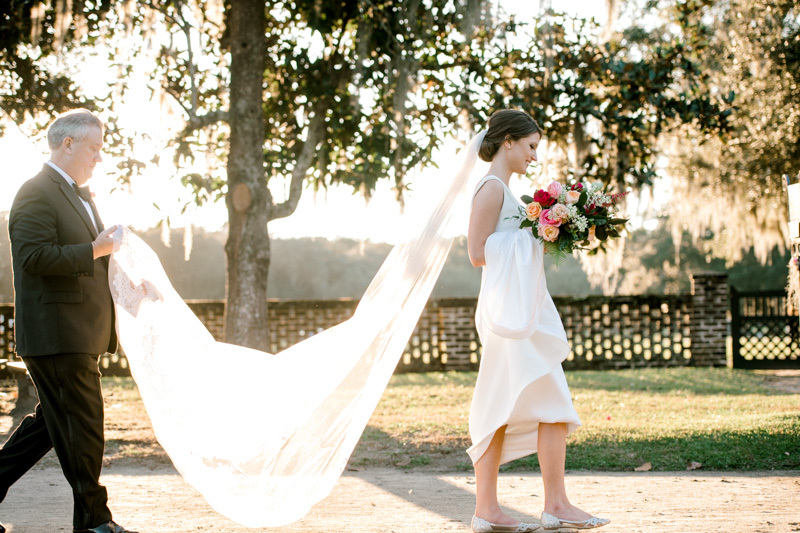 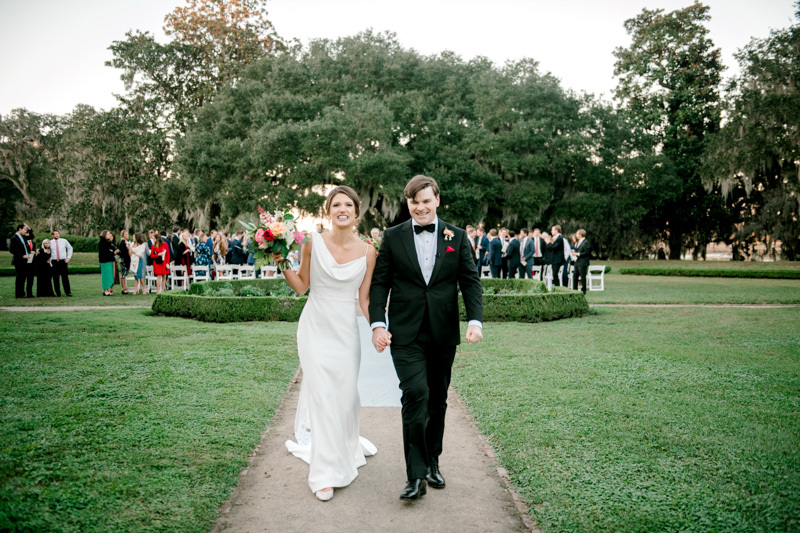 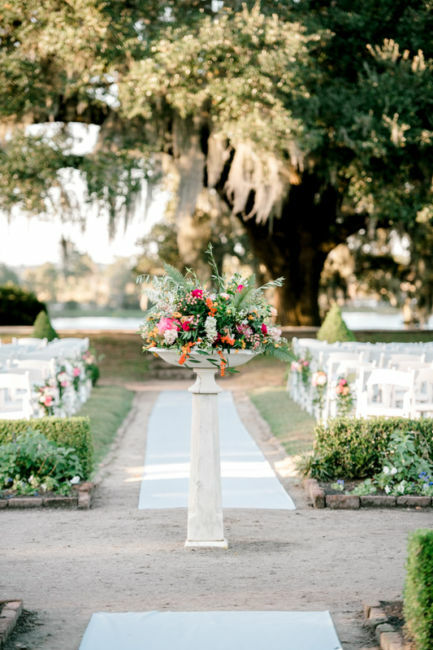 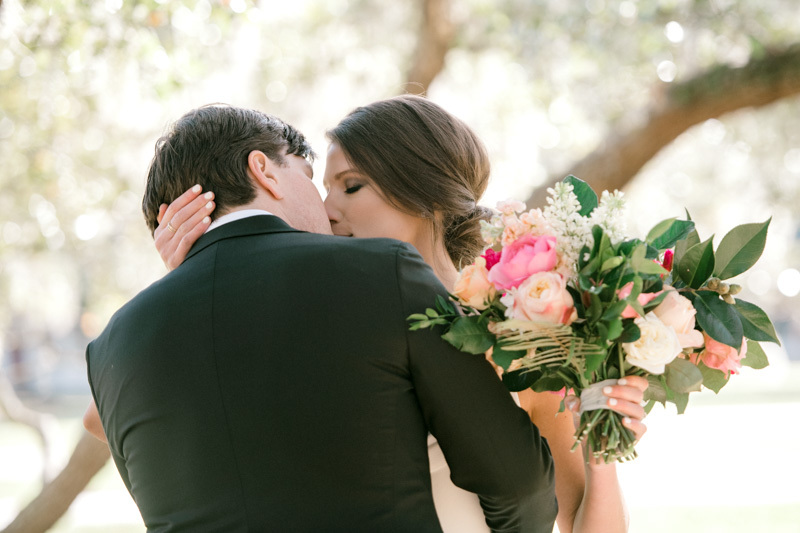 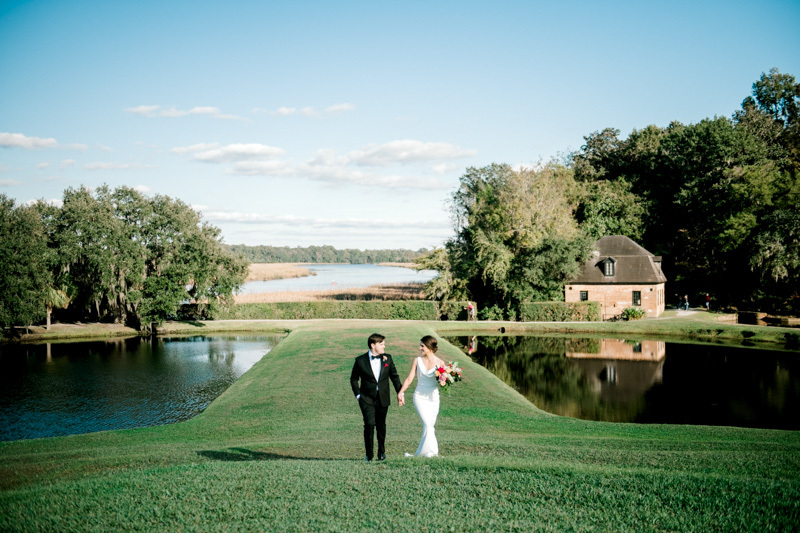 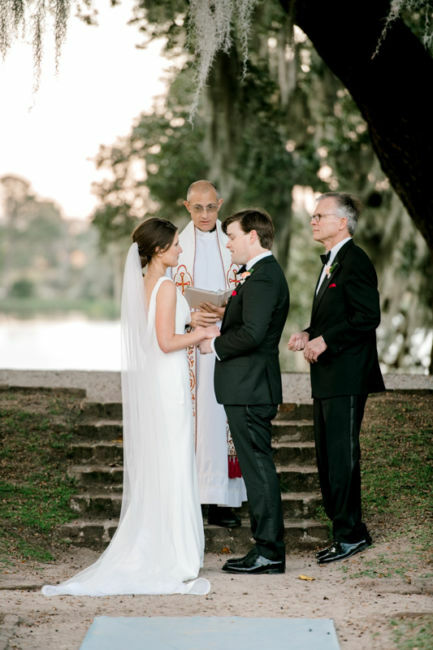 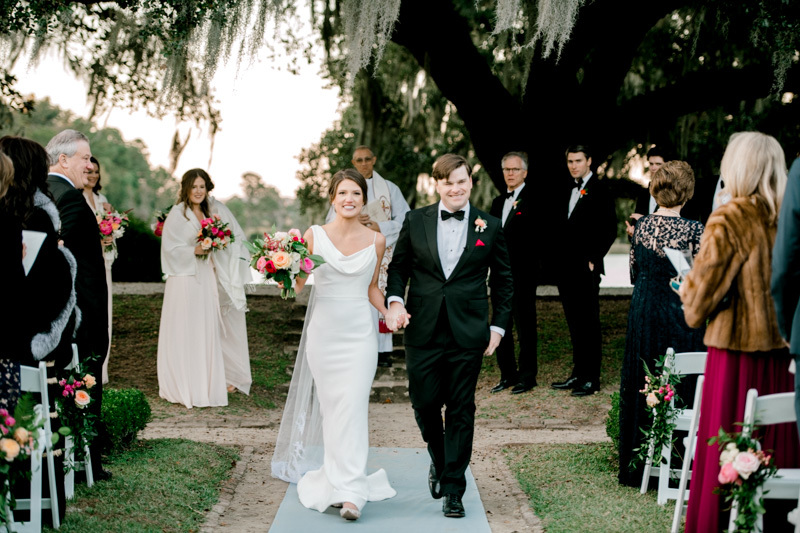 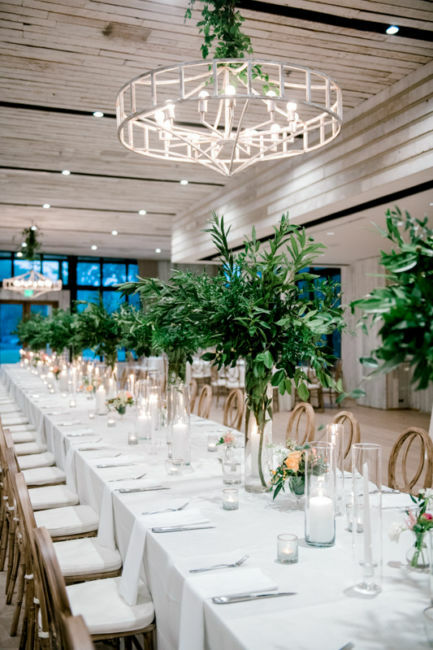 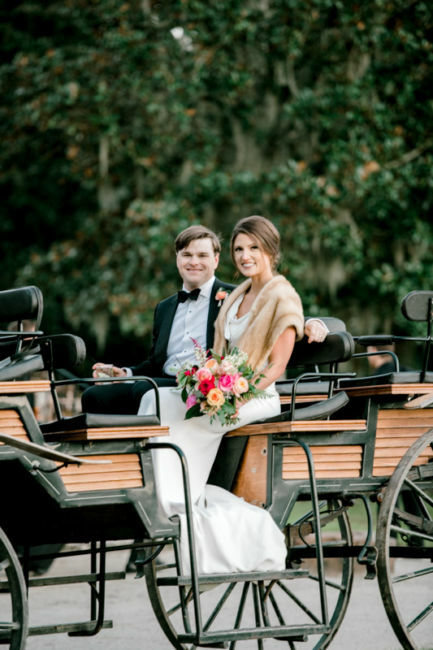 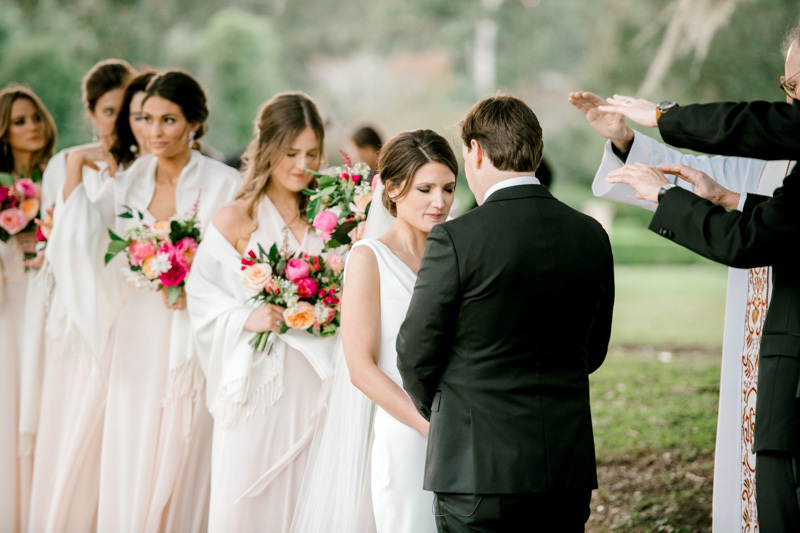 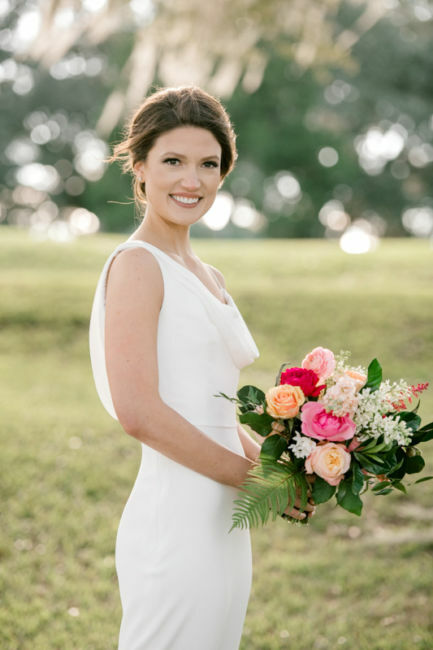 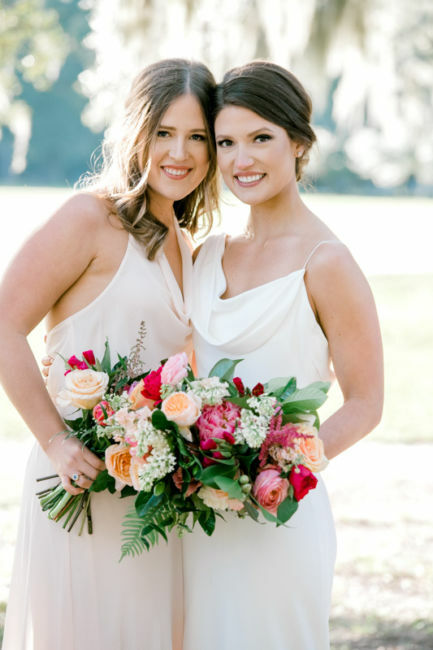 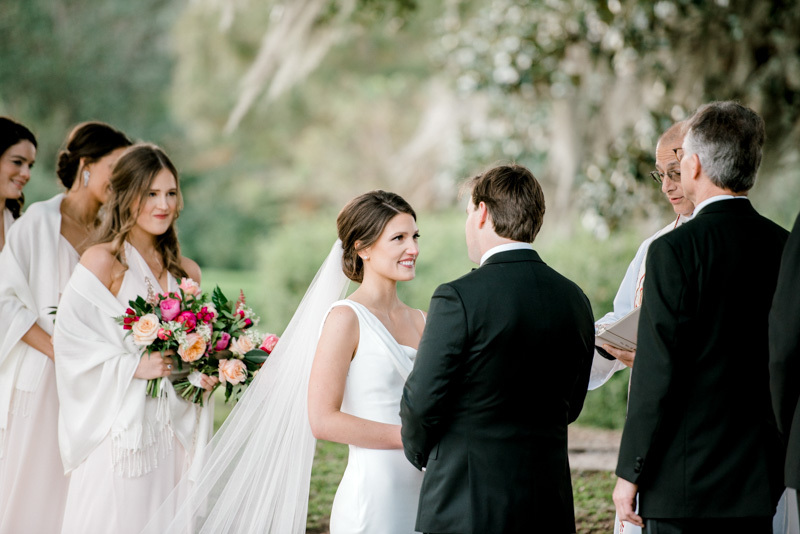 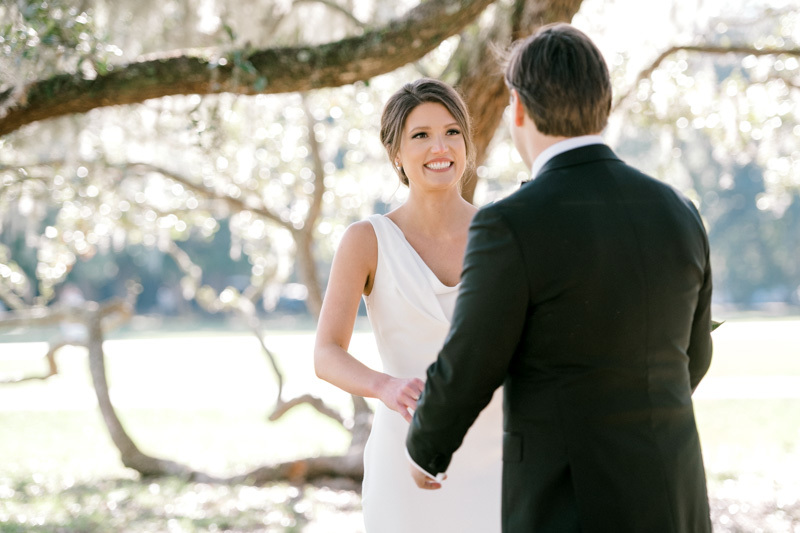 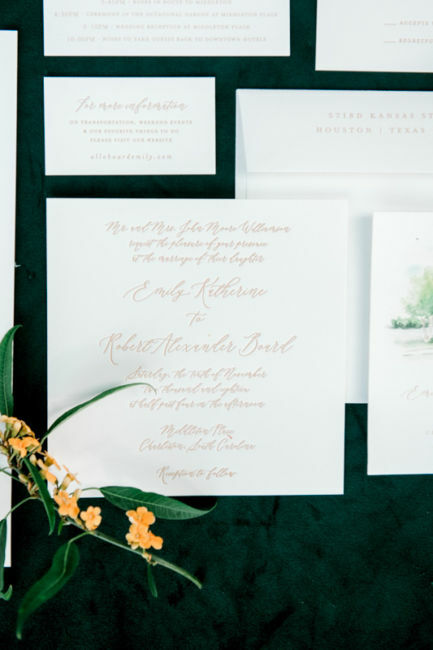 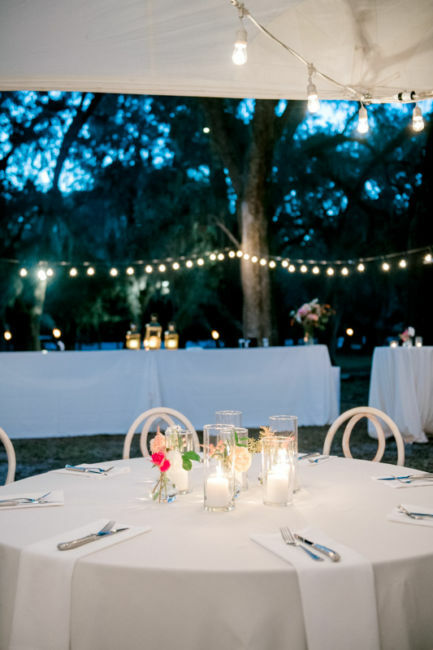 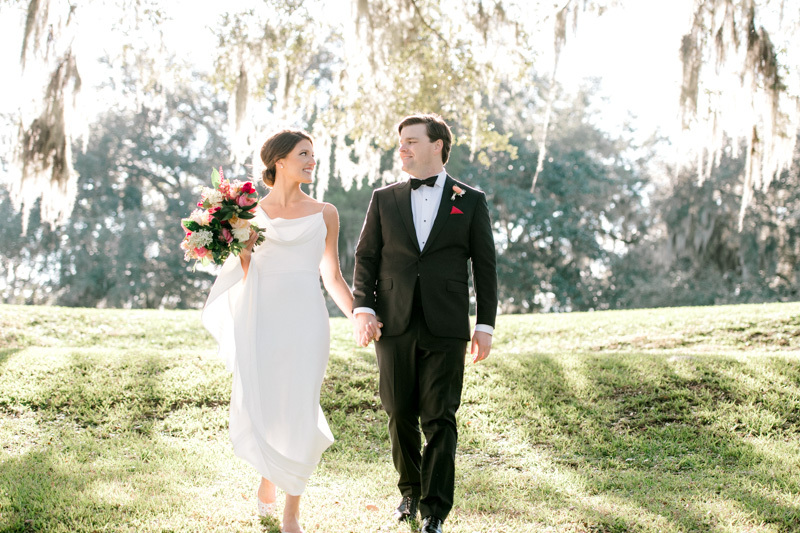 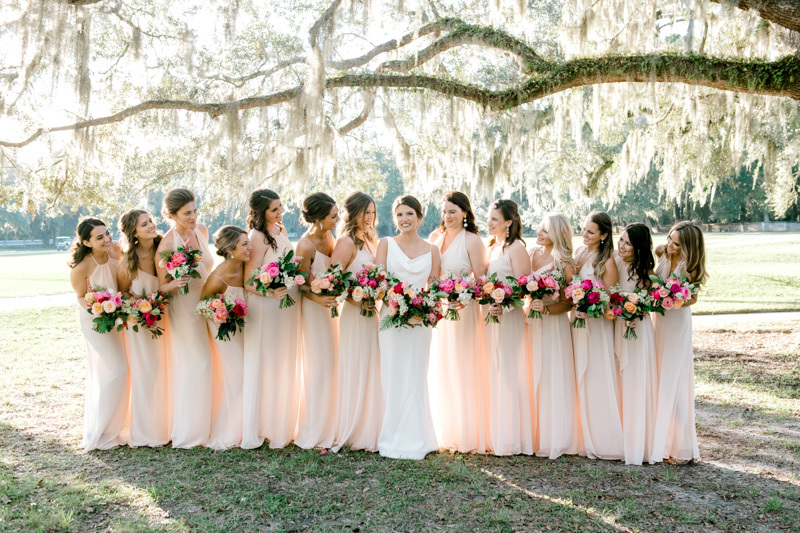 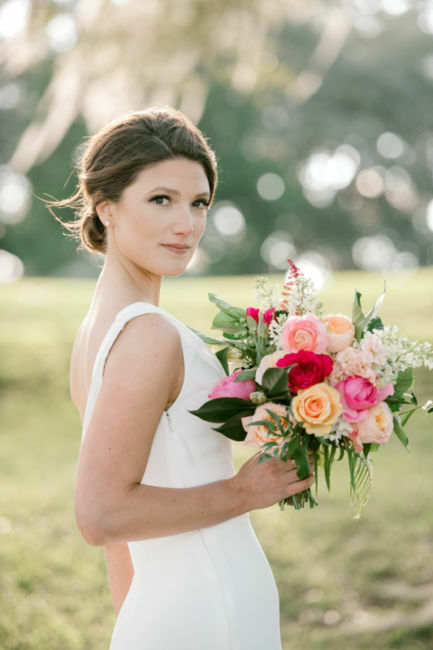 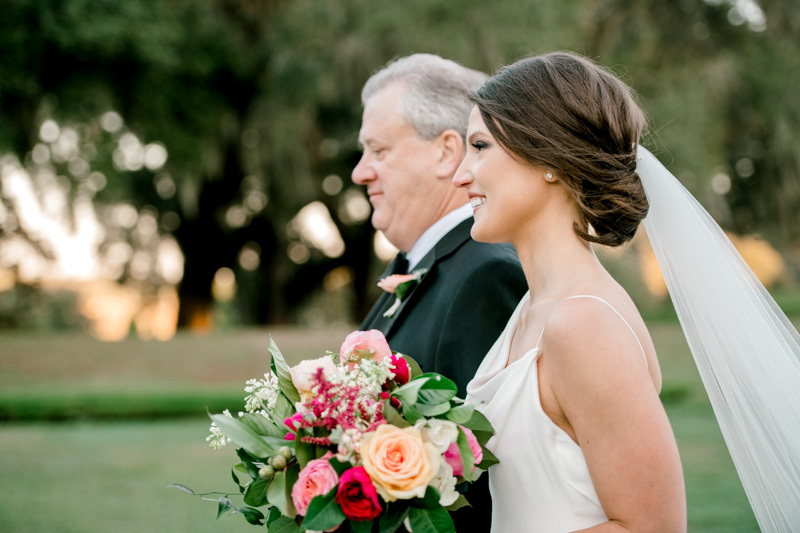 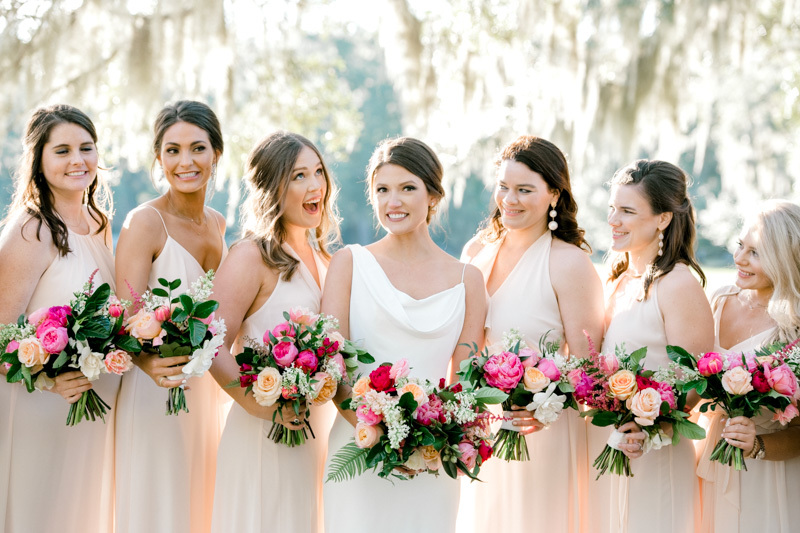 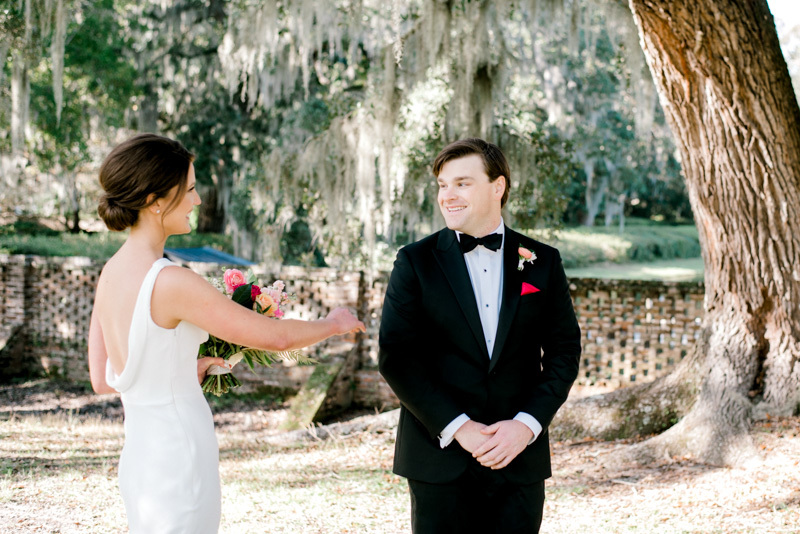 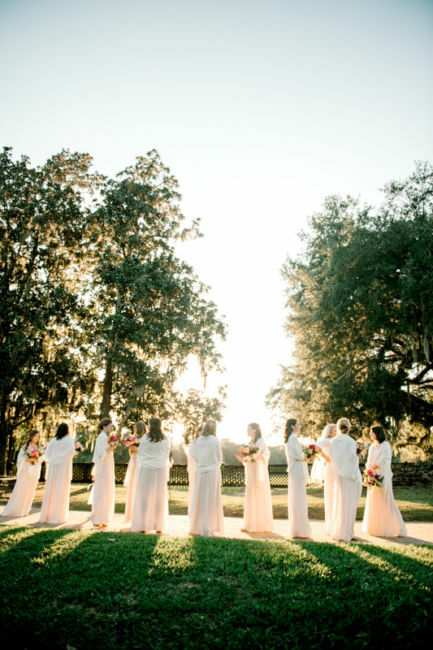 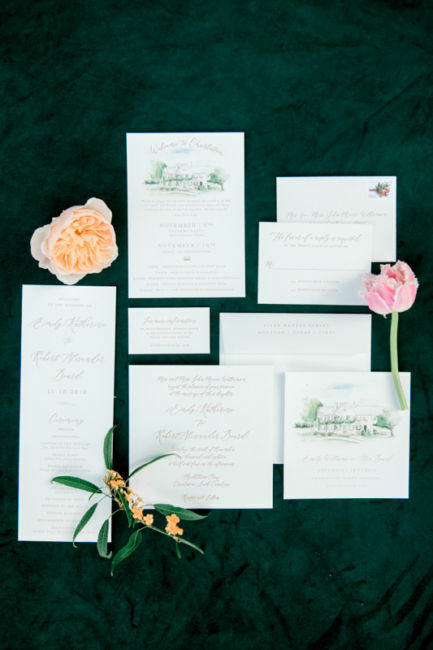 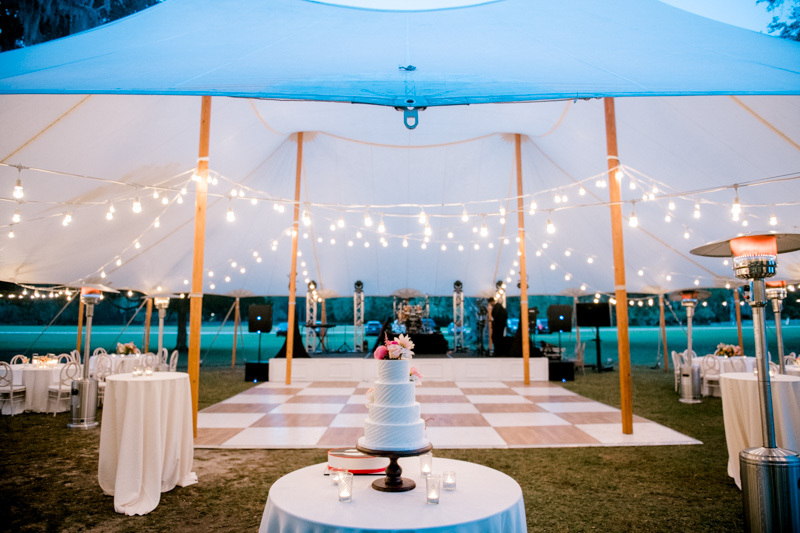 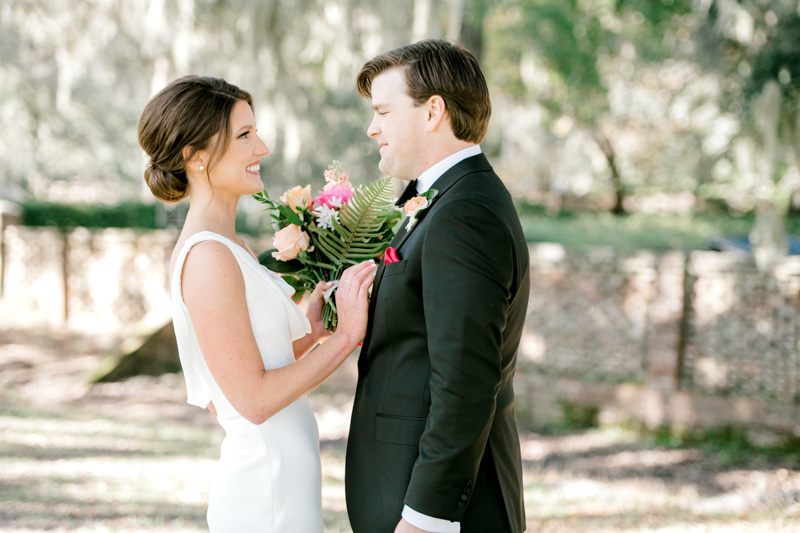 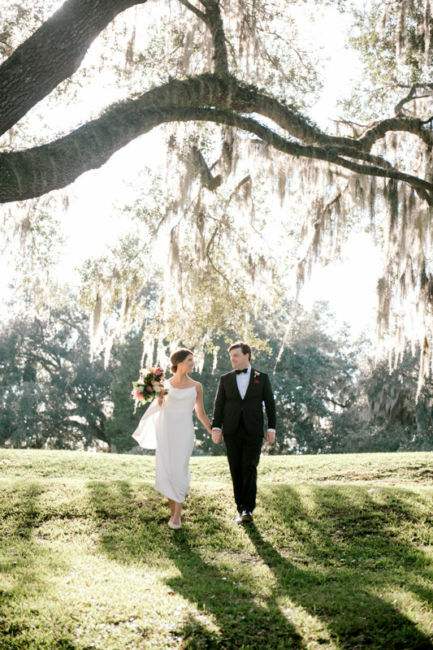 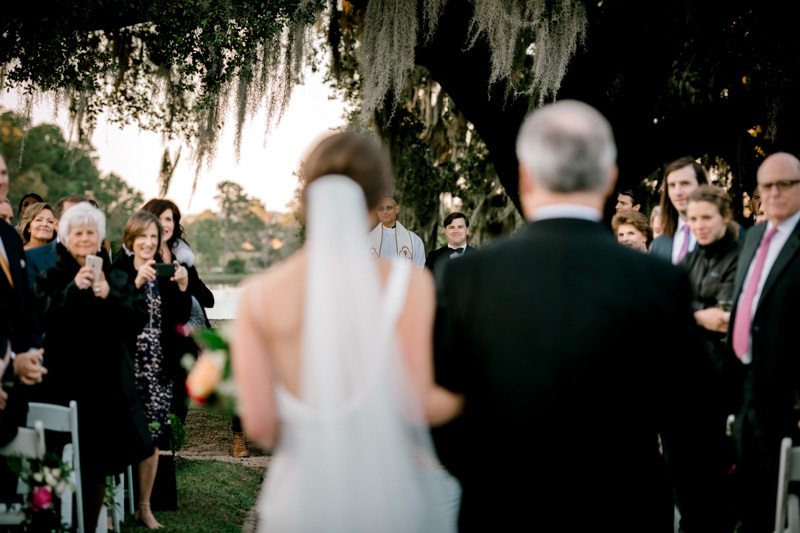 To go along with the atmosphere of this southern wedding, Emily and Alex wanted to make sure there was a southern menu to go with it – shrimp & grits and tomato tarts! 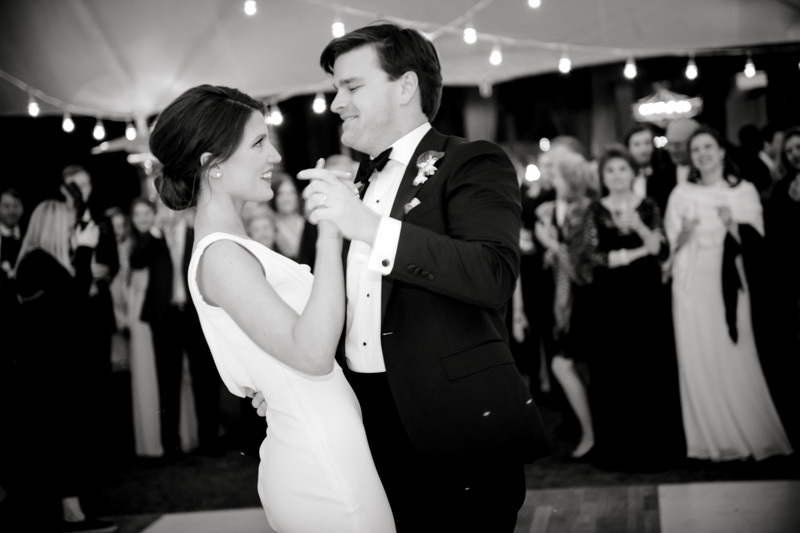 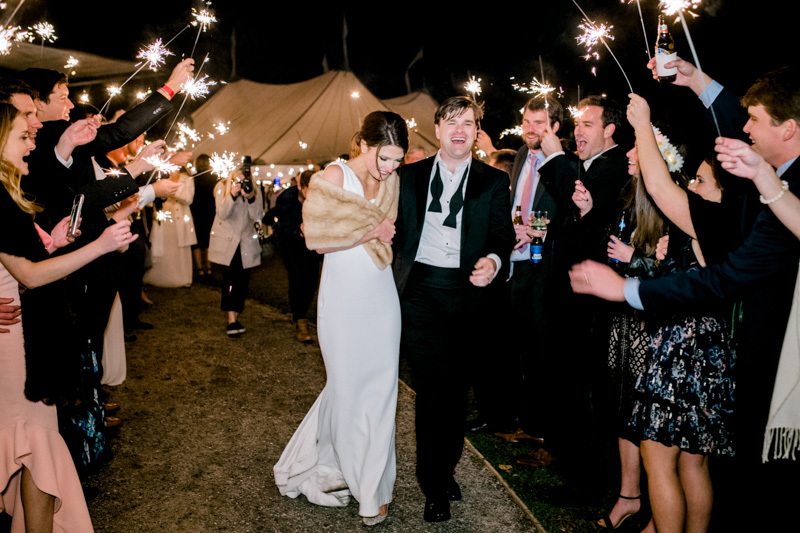 Emily looked stunning in her Vera Wang gown as she danced the night away with Alex! 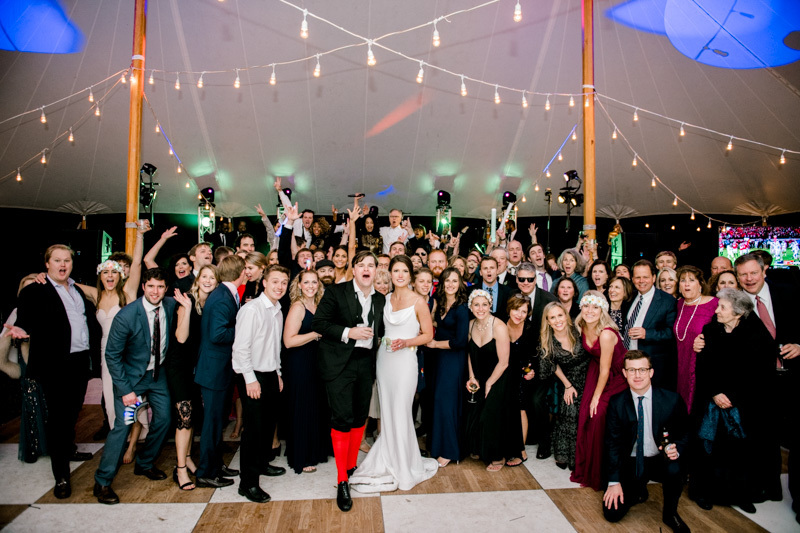 The band Perfect 10 made sure everyone was dancing and having a blast! 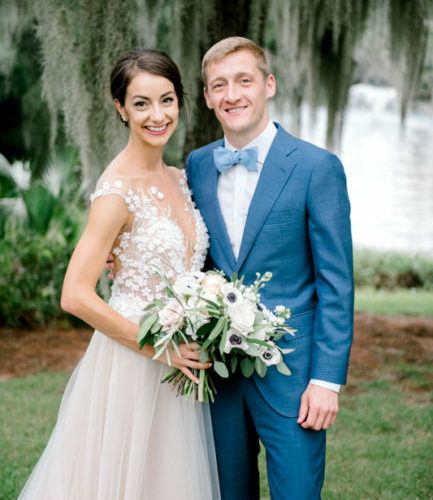 Congratulations Emily and Alex!